1. 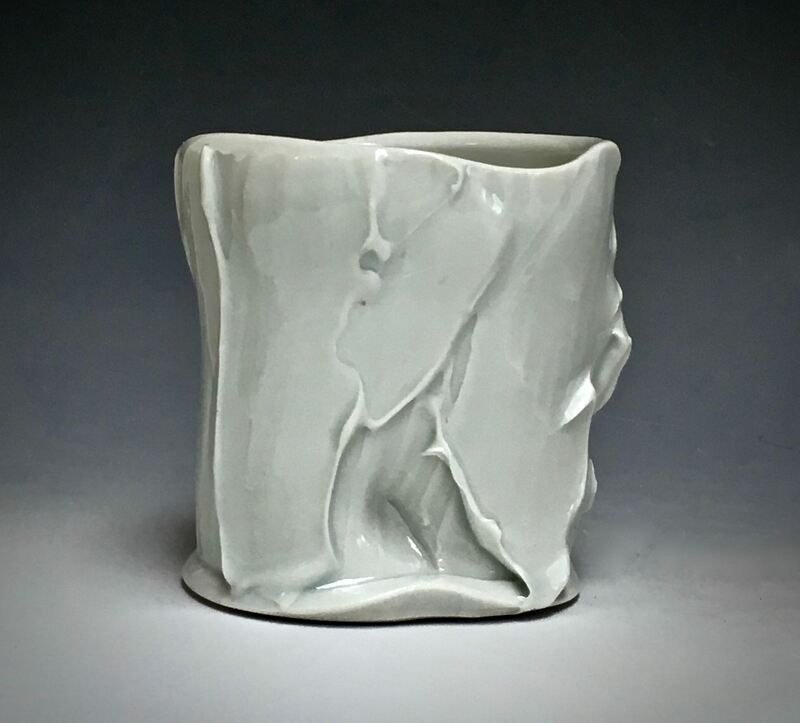 Alex Thullen TEABOWL ^11 porcelain. $50. MKM POTTER TOOLS PURCHASE AWARD 3. 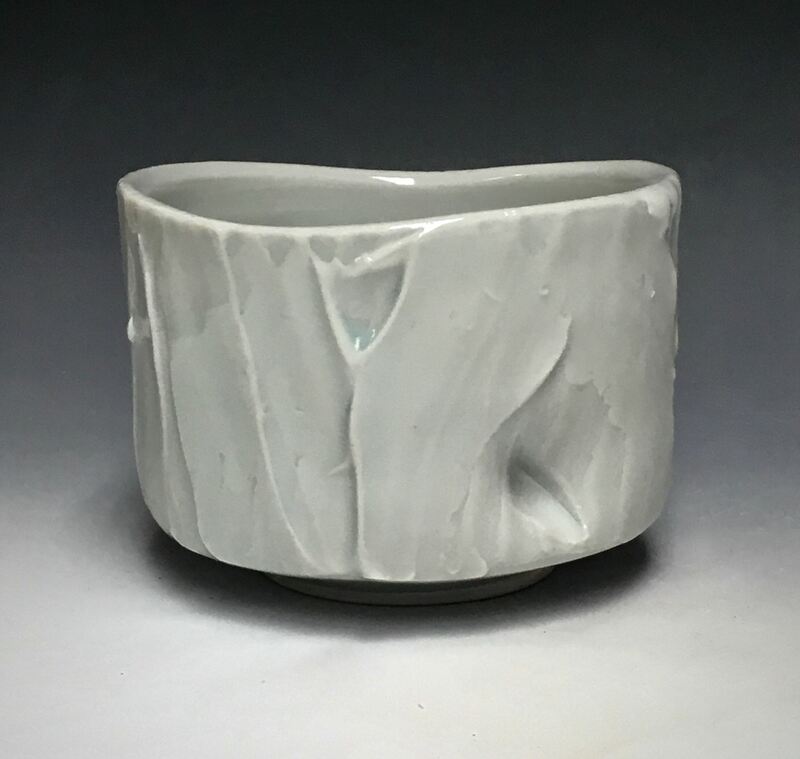 Alex Thullen TEABOWL ^11 porcelain $75. PURCHASED 5. Alice Klass TEABOWL porcelain $40. 9. 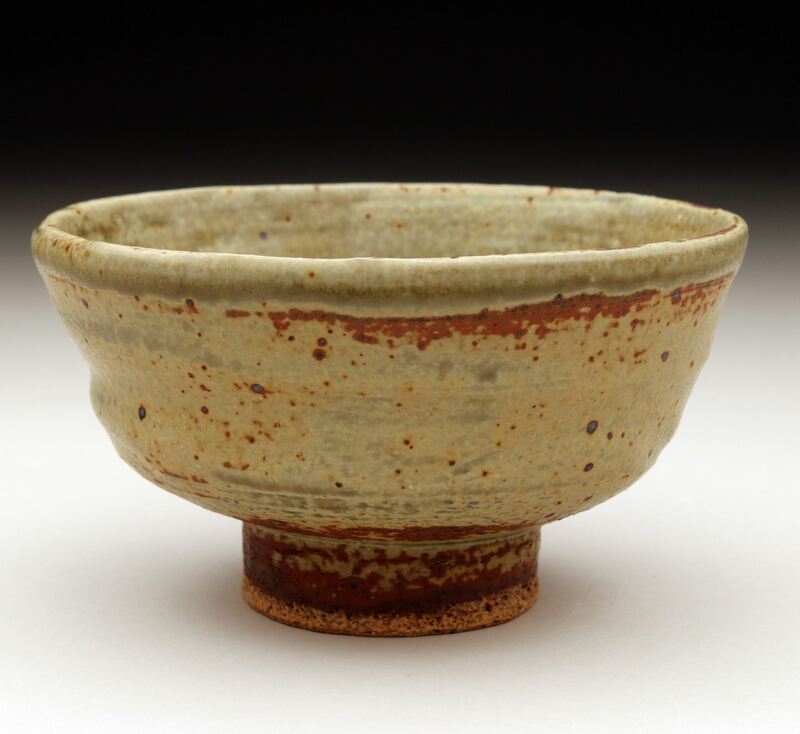 Andrew McGarva SKIRTED TEABOWL midrange stoneware $130. PURCHASED 11. 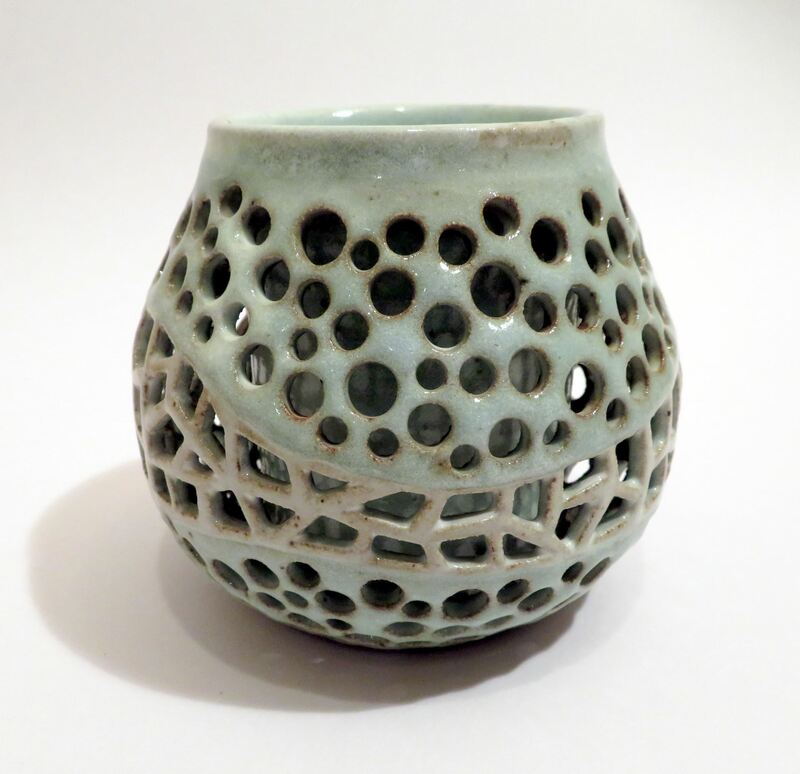 BJ Watson SMALL DARK EMERALD TENMOKU woodfired porcelain $45. 14. Bo Bedillion UNTITLED wood/soda fired stoneware $150. 18. 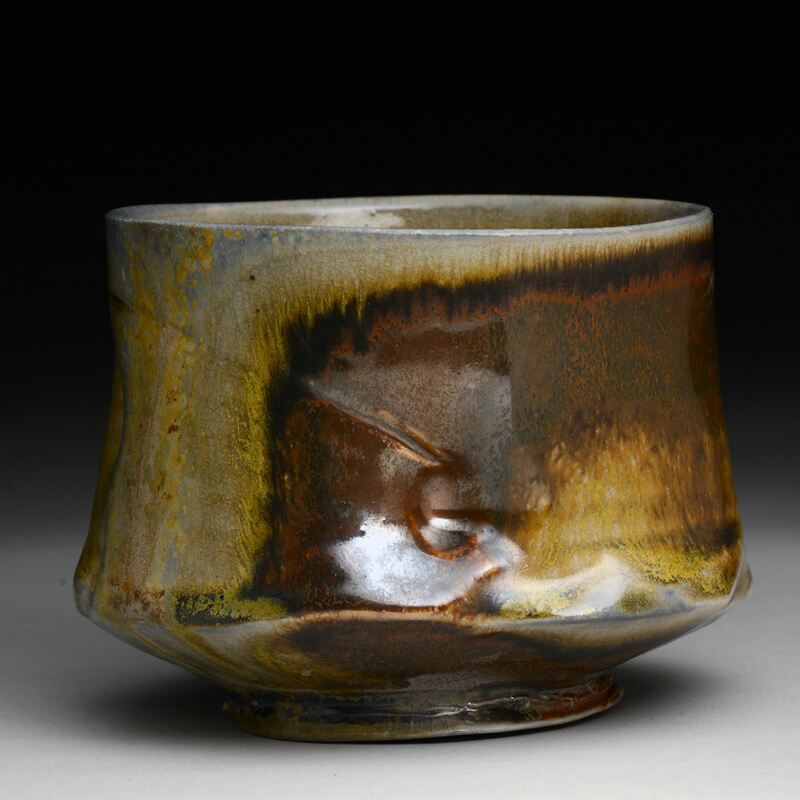 Candice Crossey CHAWAN #1 raku fired stoneware $80. 27. 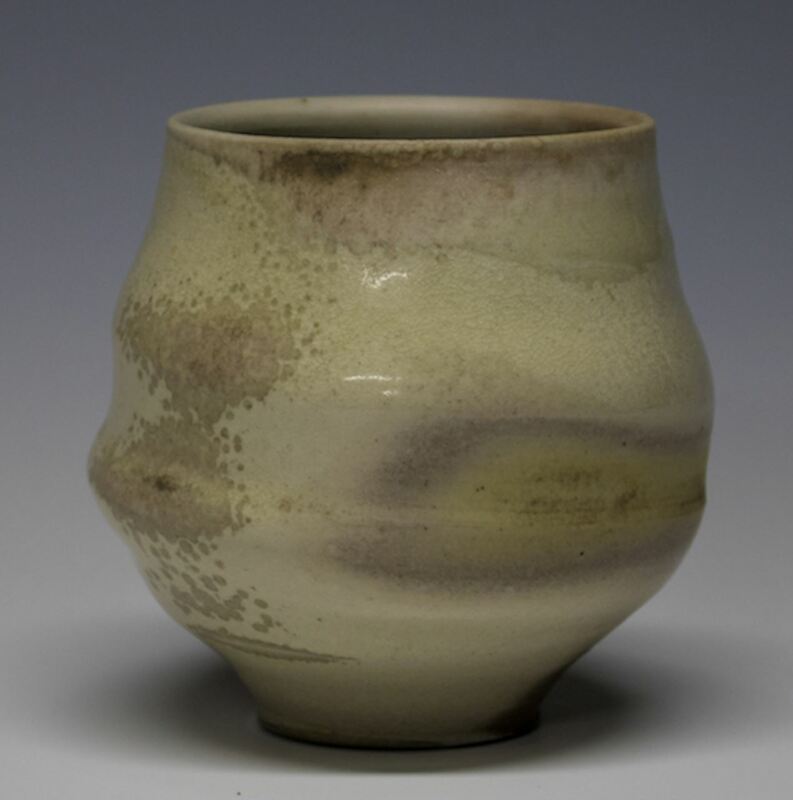 Carter Pasma WOODFIRED YUNOMI porcelain $60. 29. 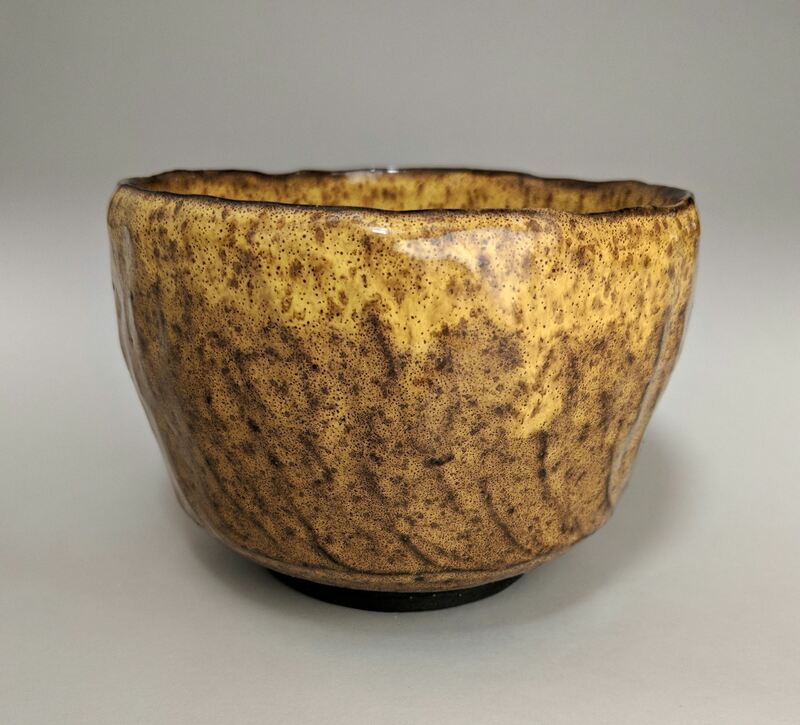 Carter Pasma GOLDEN ASH TEABOWL woodfired porcelain $40. PURCHASED SECOND RUNNER UP 31. 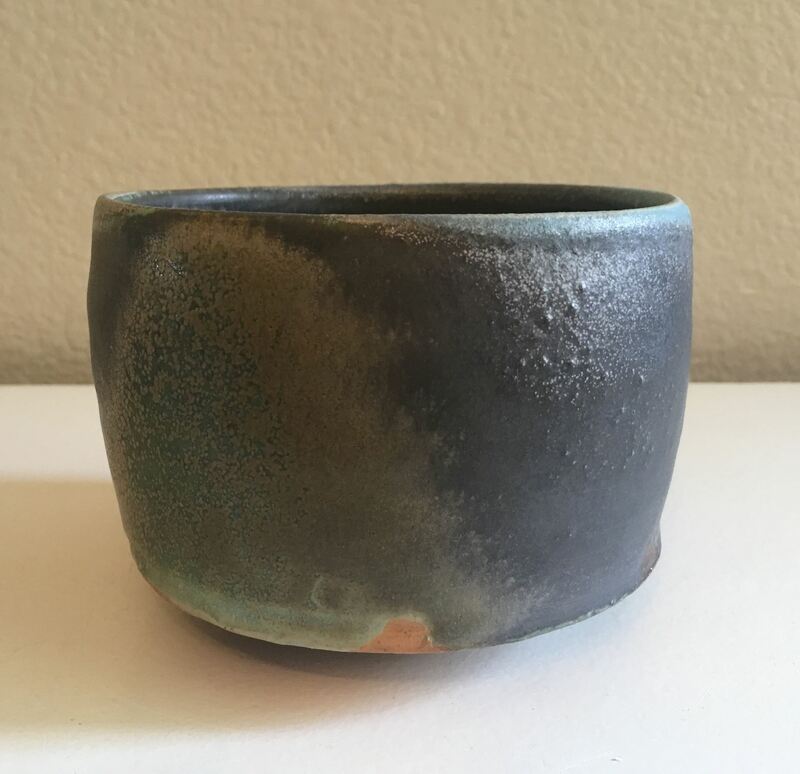 Chad Travous TEABOWL stoneware $55. 41. 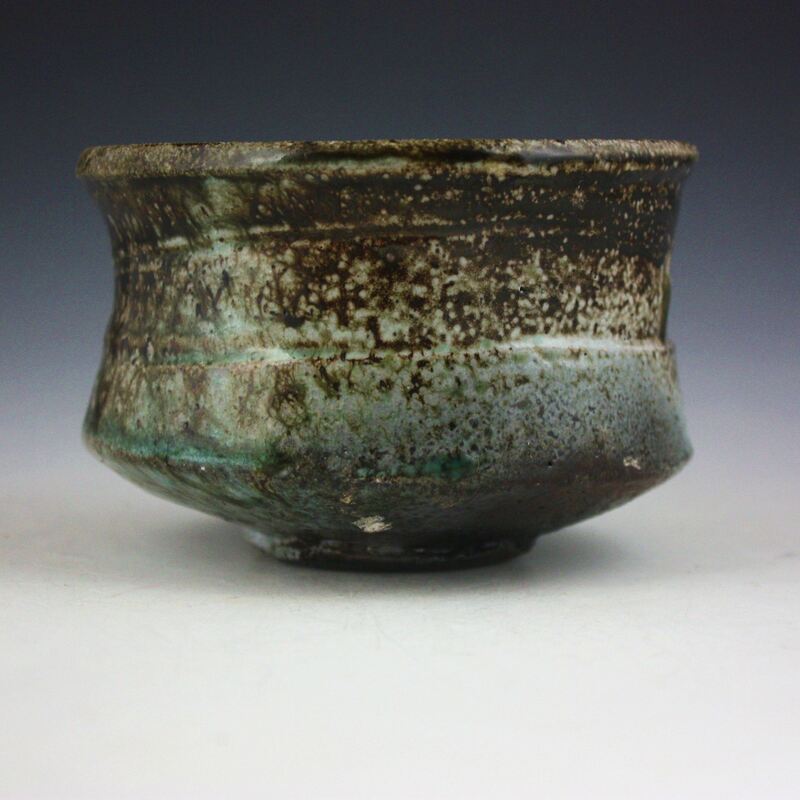 Christopher Greenman TEABOWL stoneware $100. 43. 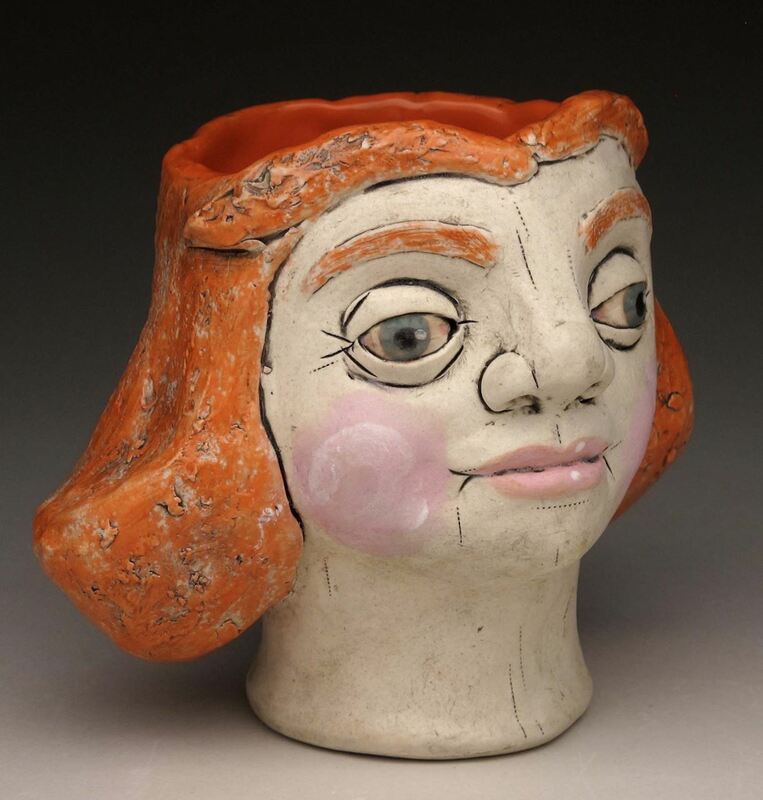 Cindy Powers GINGER ^6 porcelain $150. KC CLAY GUILD Purchase Award 49. 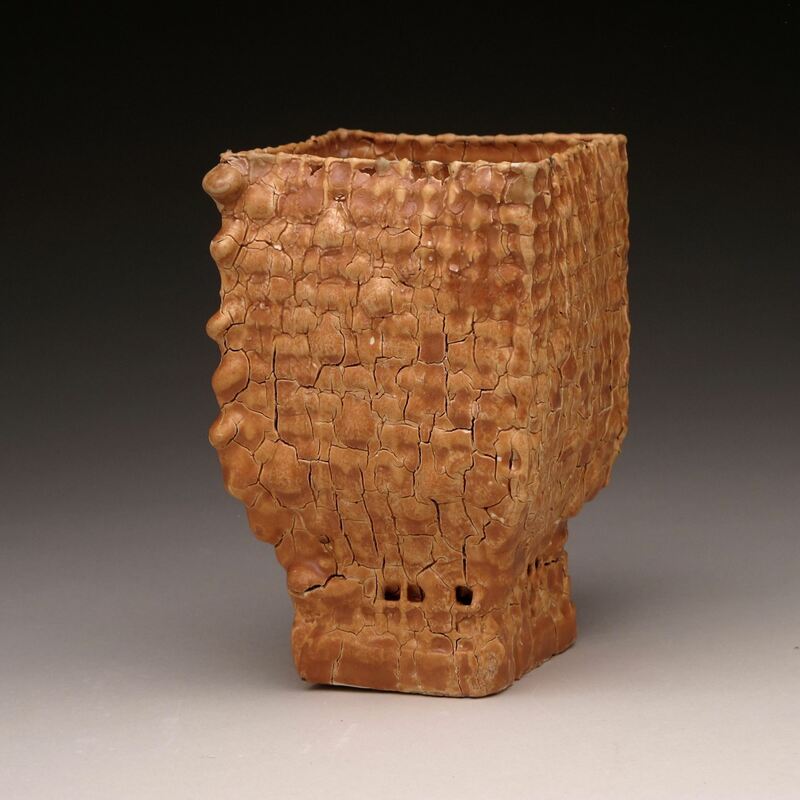 Deborah Heid THE FIRE WITHIN wood fired stoneware $95. PURCHASED 51. 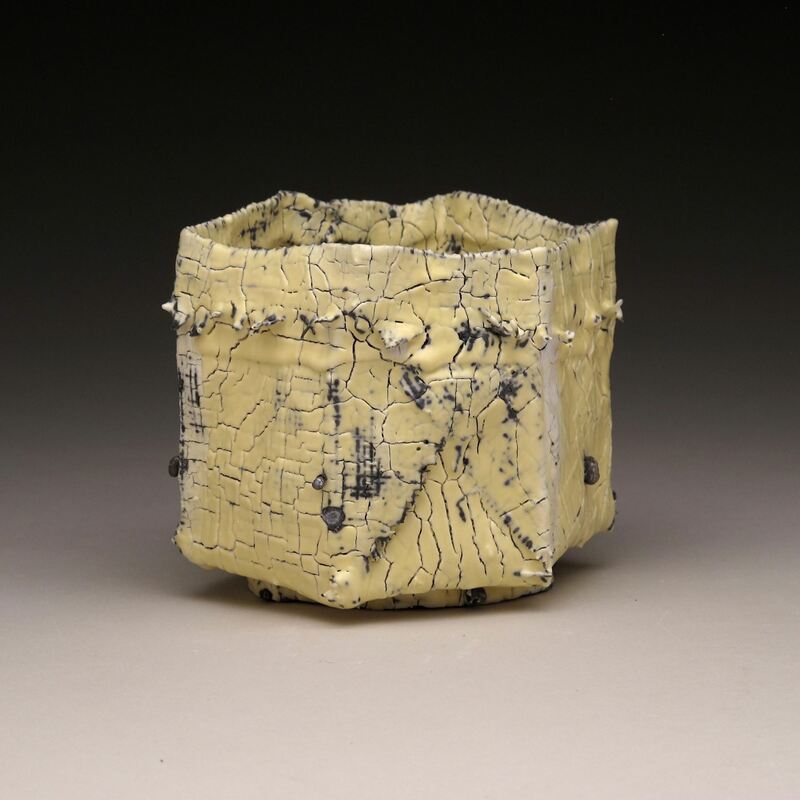 Deborah Lamberton TOPOGRAPHICAL 2 ^10 porcelain $60. 53. 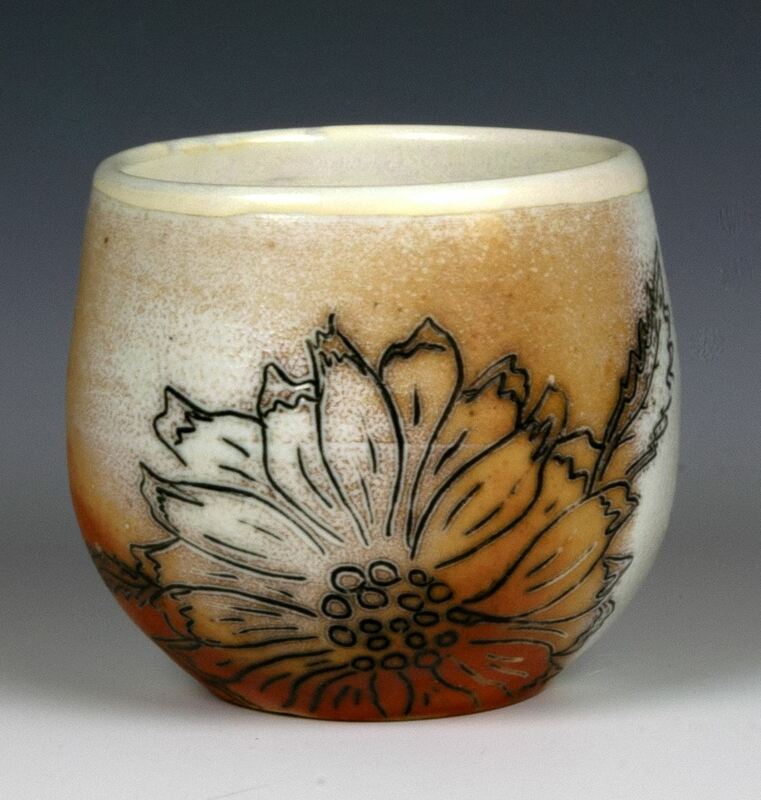 Denise Joyal DAISY TEABOWL woodfired porcelain $60. 55. 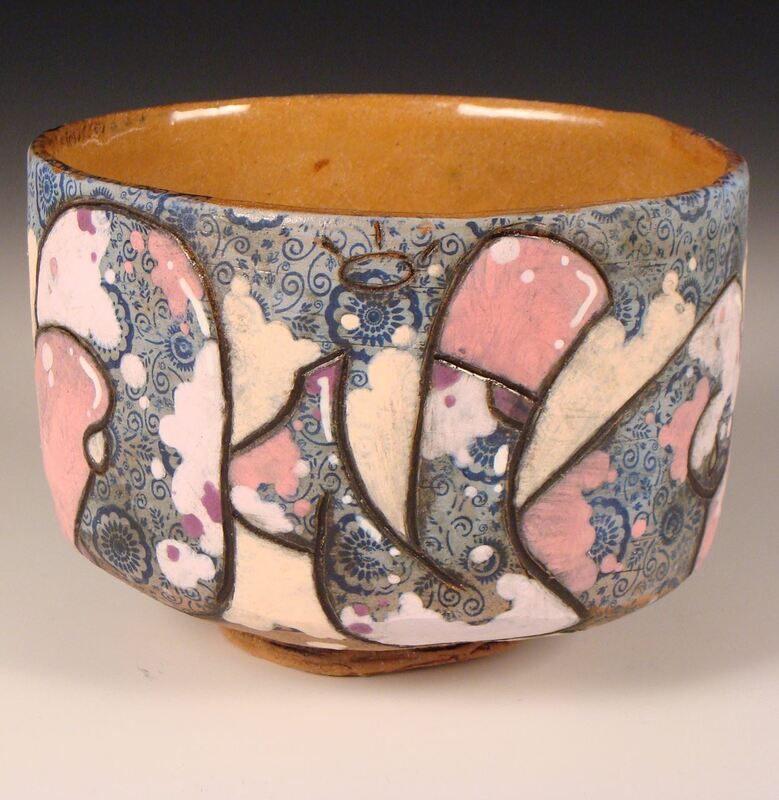 Desiree Warren SHINOCEAN TEABOWL ^10 stoneware w/Mason stain $55. PURCHASED 59. 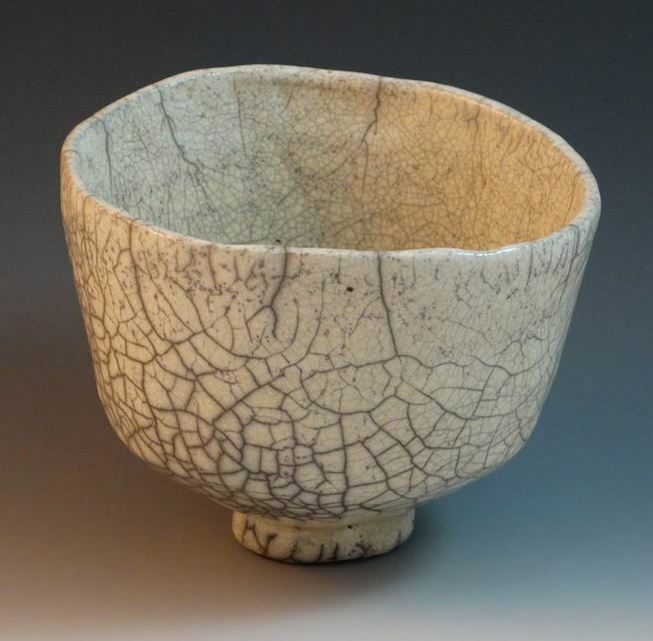 Doug Hein LICHEN TEABOWL ^10 stoneware $50. PURCHASED 61. 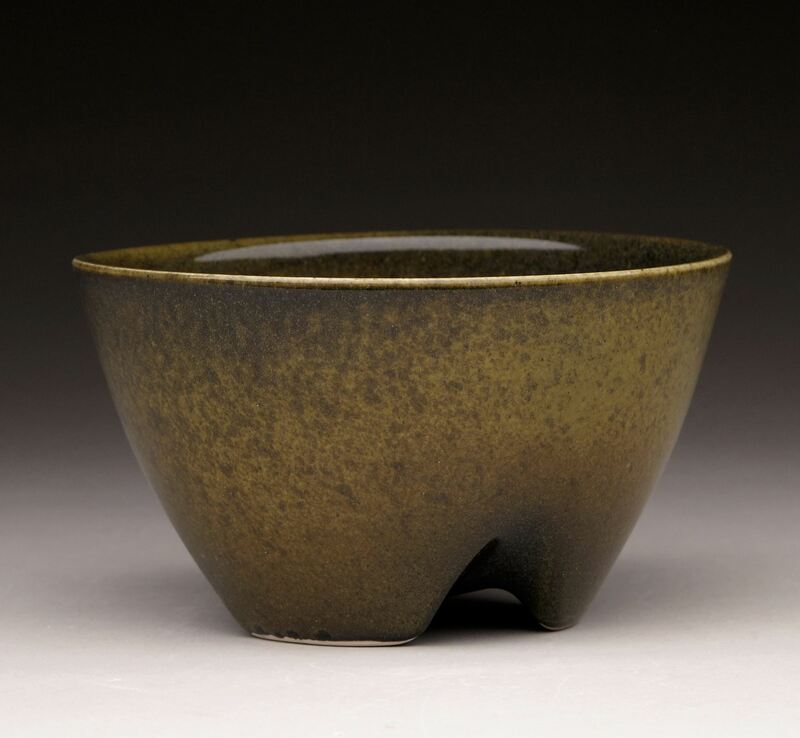 Doug Jeppesen TEABOWL stoneware $60. PURCHASED 63. 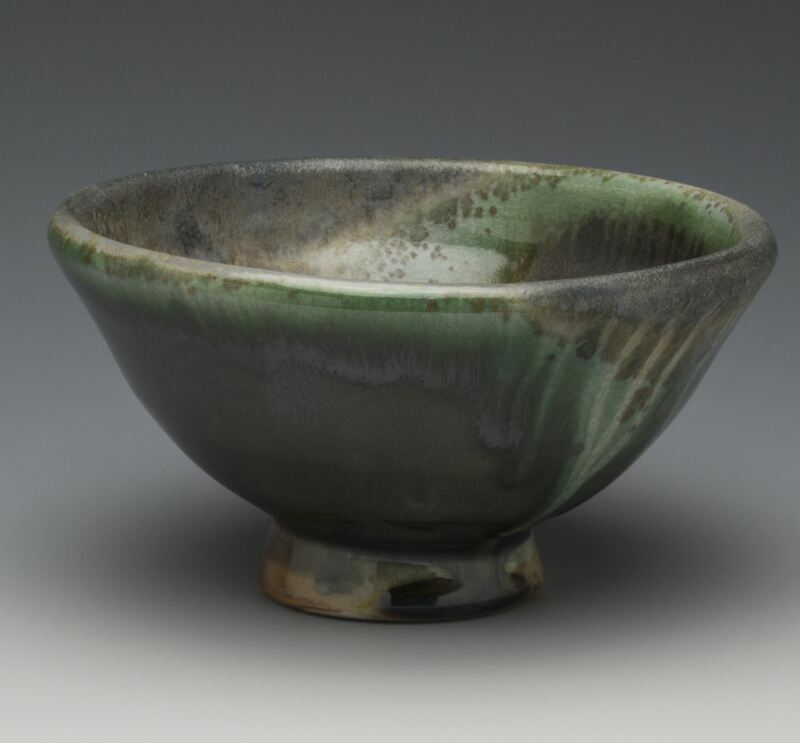 Doug Jeppesen TEABOWL stoneware w/glaze made from clay dug in Doug's yard $60. 64. 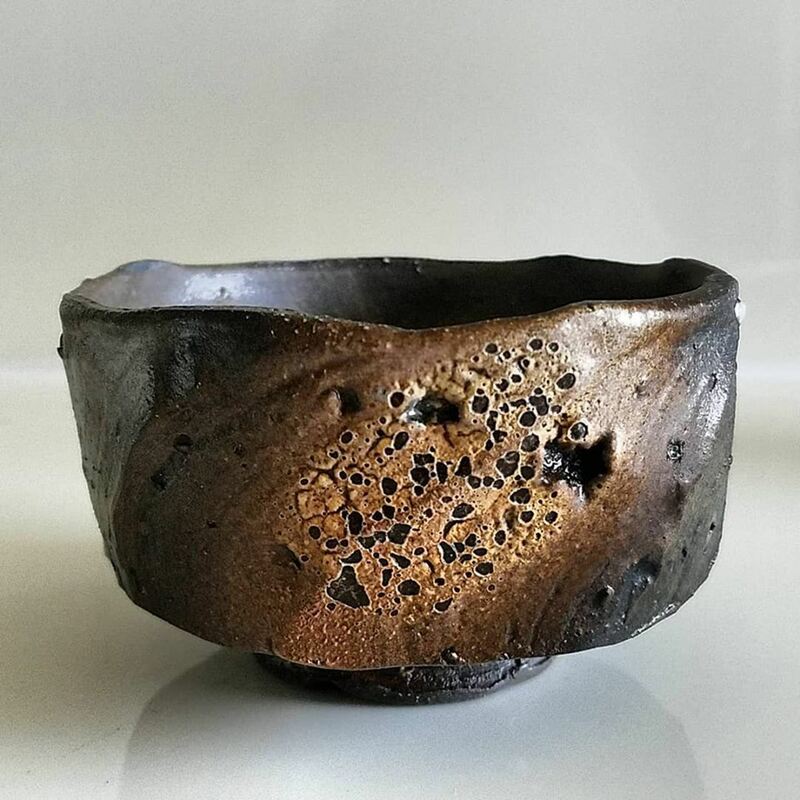 Fred Follonsbee TEABOWL woodfired stoneware $60. 65. 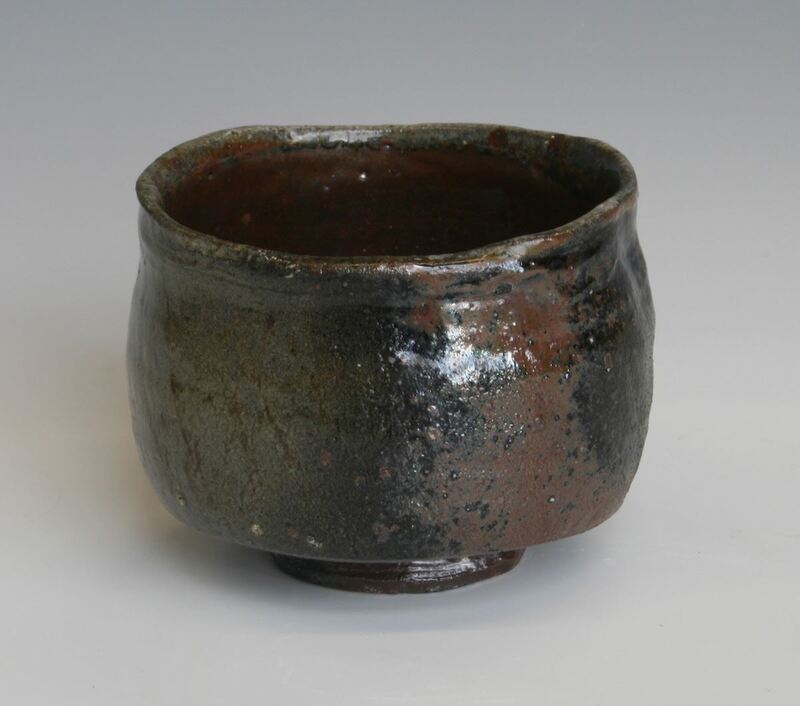 Fred Follonsbee TEABOWL soda fired stoneware $60. 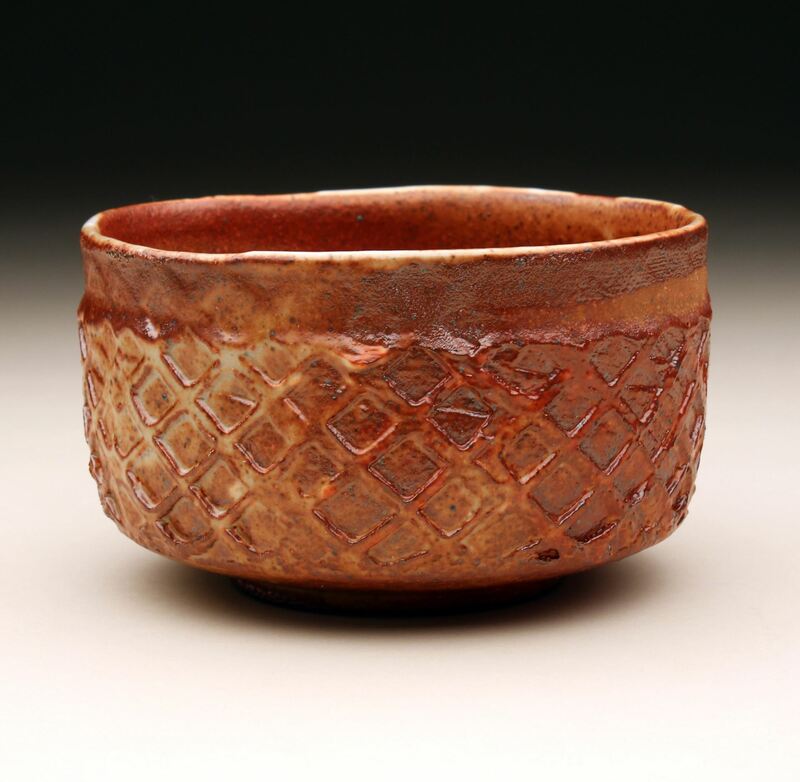 'BEST WOODFIRED TEABOWL' sponsored by Jeanine Valadez 68. 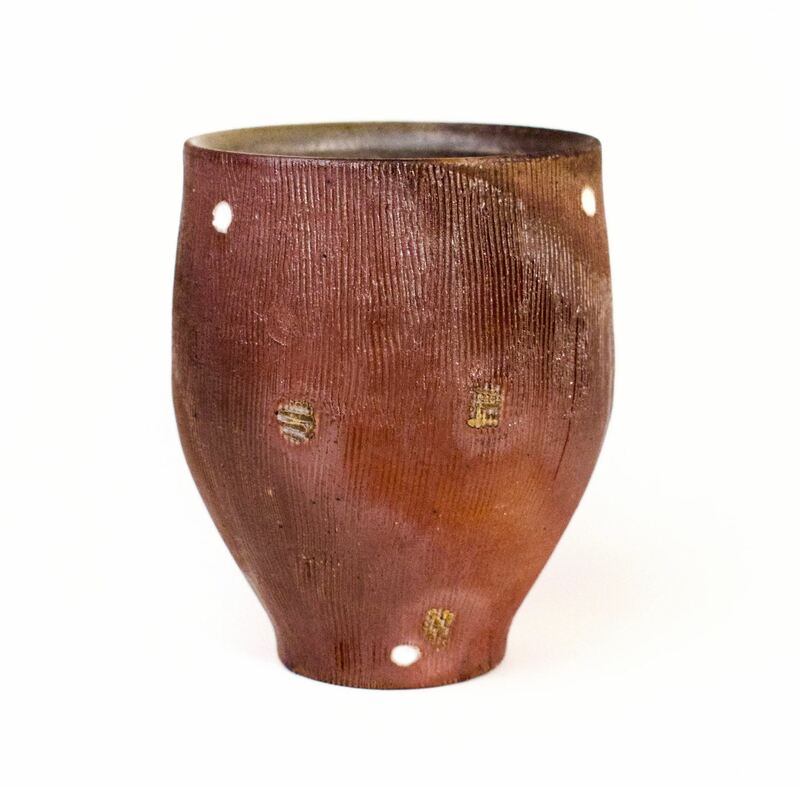 Greg Holmes NUMBER 2 woodfired stoneware w/copper wire $130. 69. 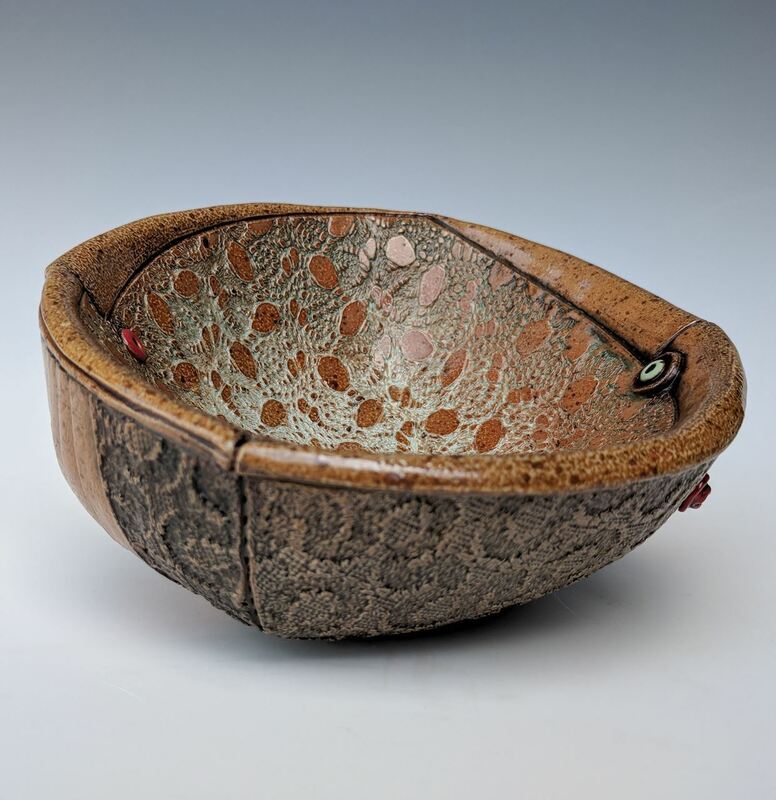 Greg Holmes NUMBER 3 woodfired stoneware w/copper wire $130. PURCHASED 71. 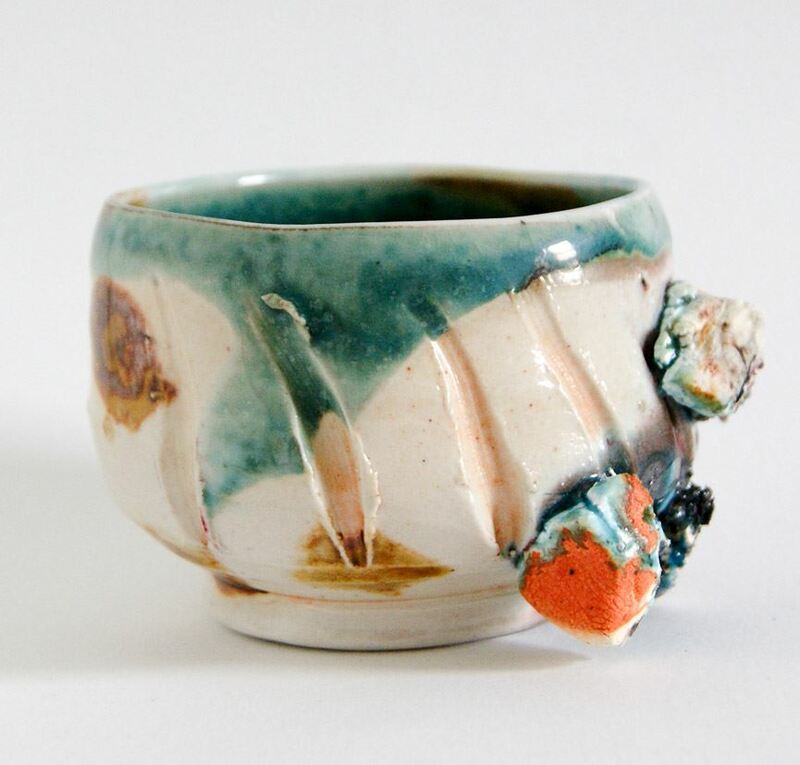 Heidi Schultz ONE GRAFFITI TEABOWL ^5 stoneware $50. PURCHASED 75. 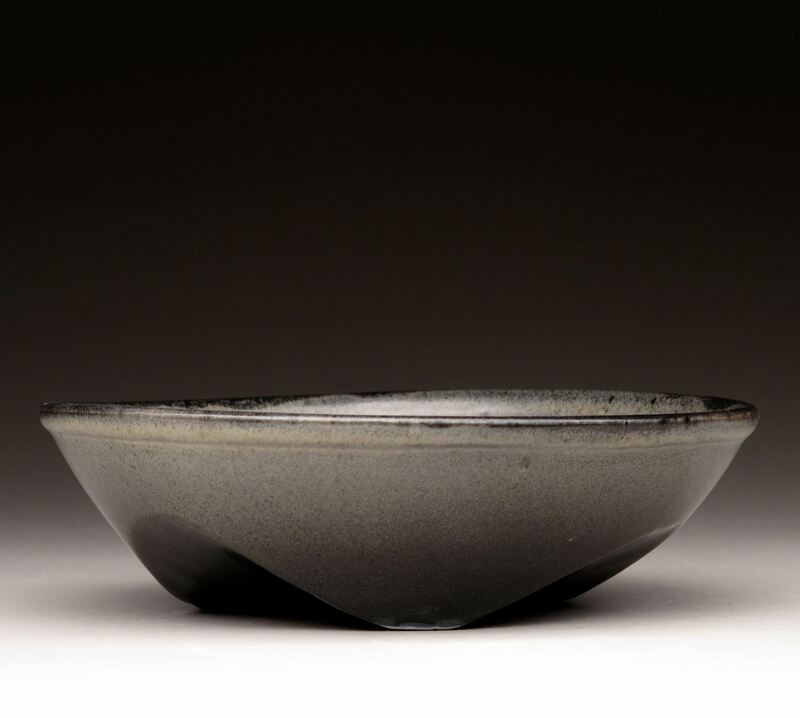 Jake Vinson PHOBOS CAPPED IN SNOW ^10 stoneware $90. 76. 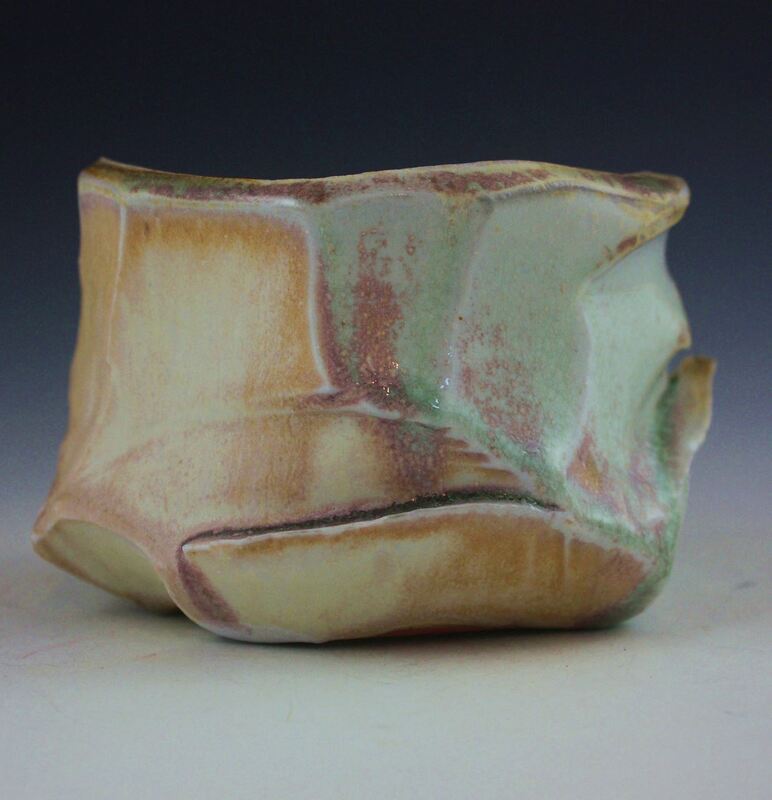 Jeff Kaestner TEABOWL ^10 stoneware $45. 78. 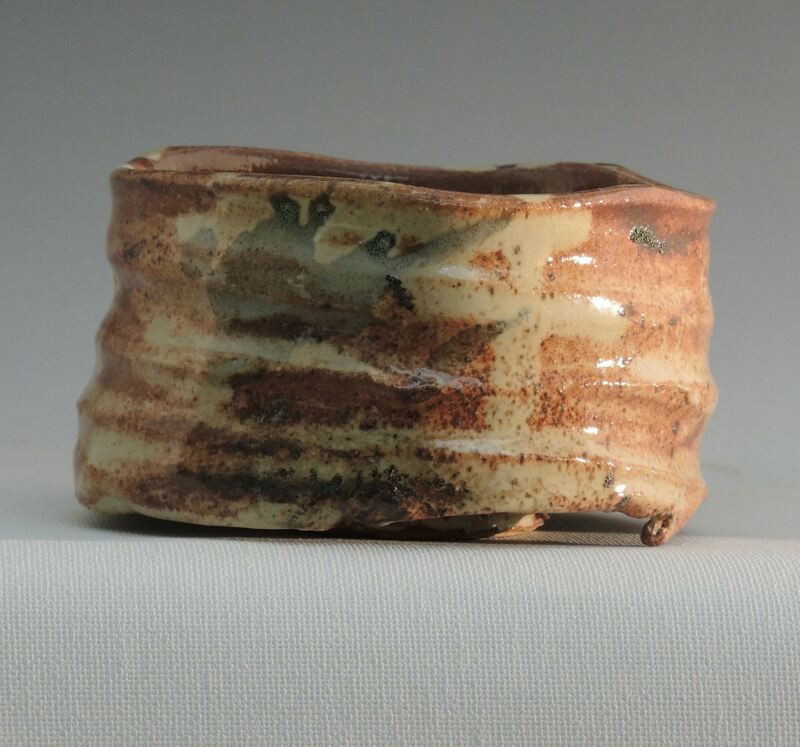 Jeff Kaestner TEABOWL ^10 stoneware $45. PURCHASED 79. 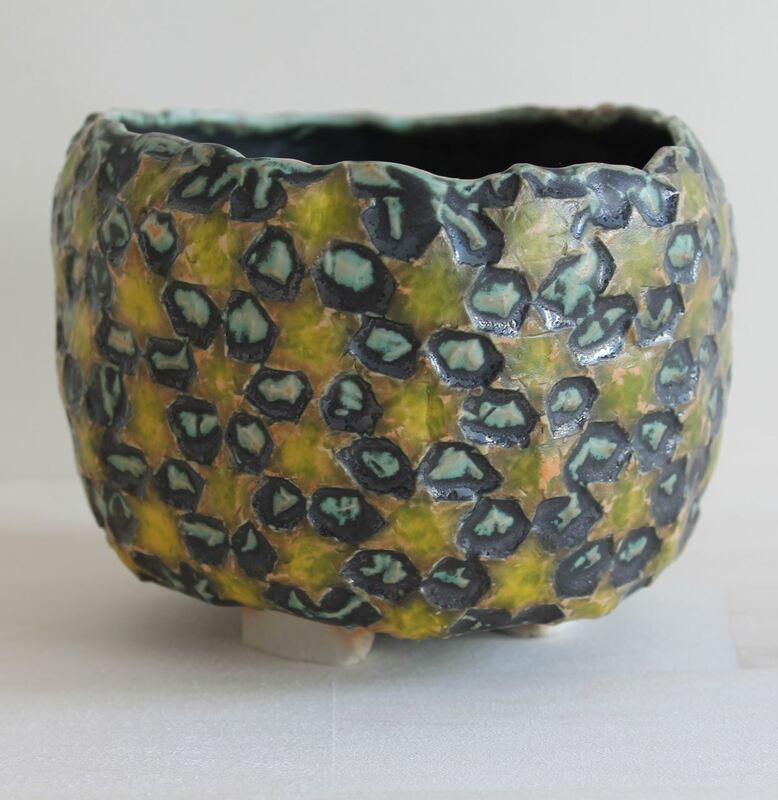 Jim Ultican SPECKLED GREEN porcelain $30. UNAVAILABLE 81. 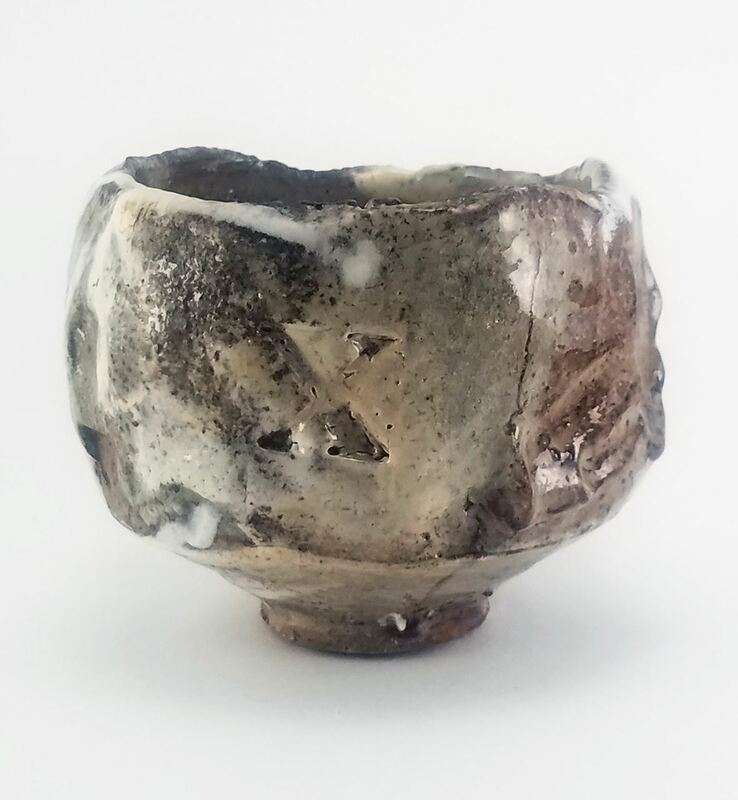 Jim Ultican BLACKENED MARSHMALLOW porcelain $30. 83. 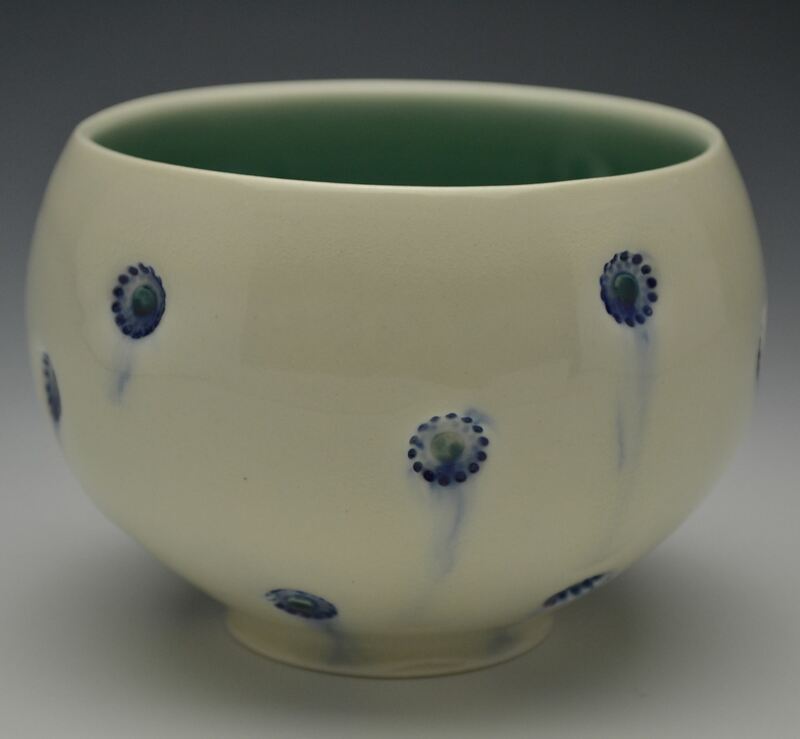 John Oles SLIPPED CELADON TEABOWL porcelain $65. PURCHASED 84. 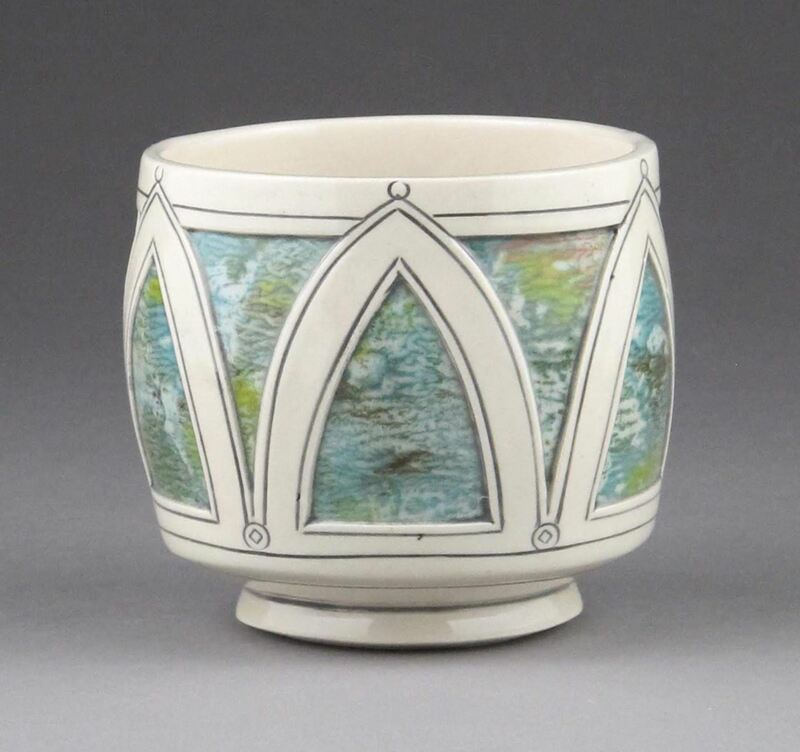 John Oles SLIPPED CELADON CUP porcelain $55. 85. 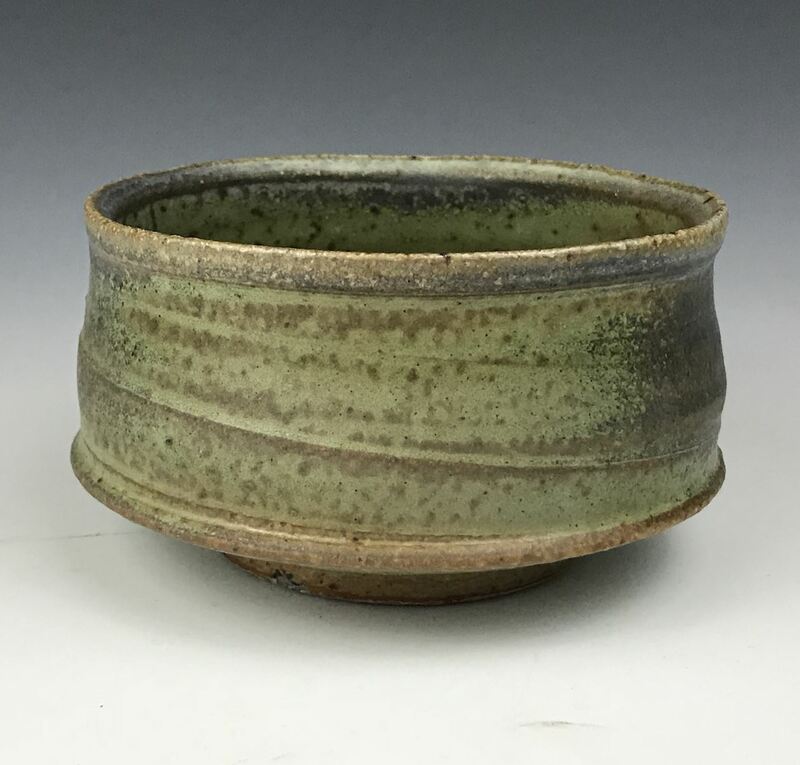 John Reinking HIKIDASHI TEABOWL stoneware $200. BEST OF SHOW 87. 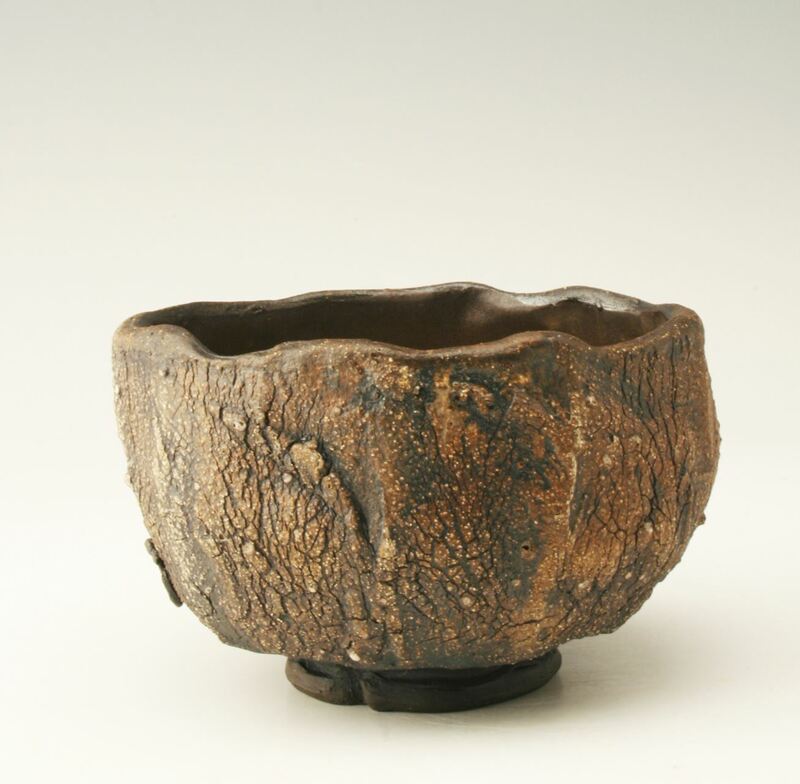 John Reinking EDISON TEABOWL woodfired stoneware $200. 'MAITRI' Award, sponsored by Chanda Baker 92. 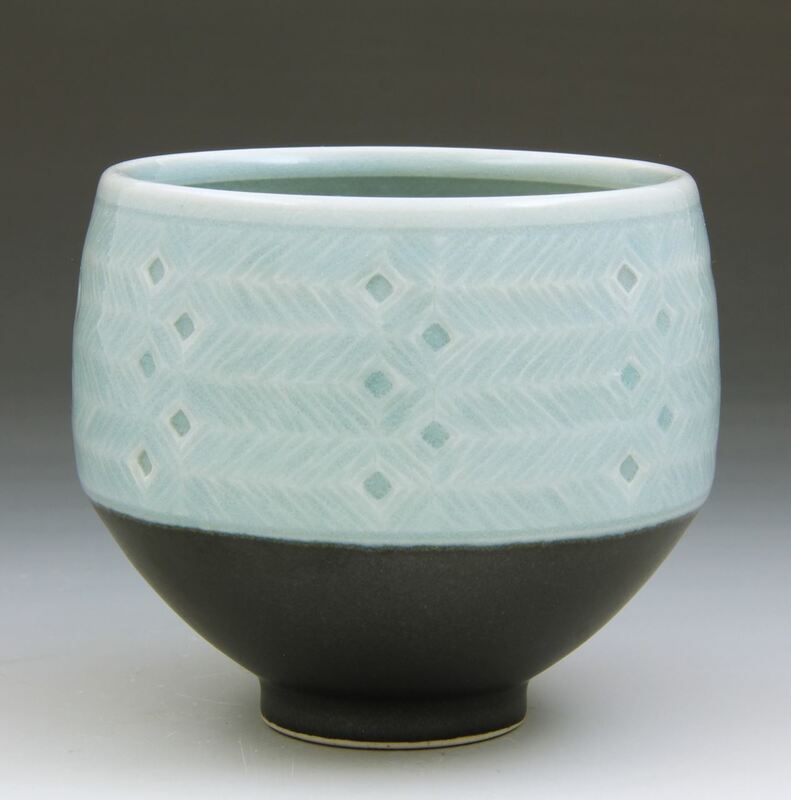 Julia Timm TURQUOISE TEABOWL stoneware $65. 96. 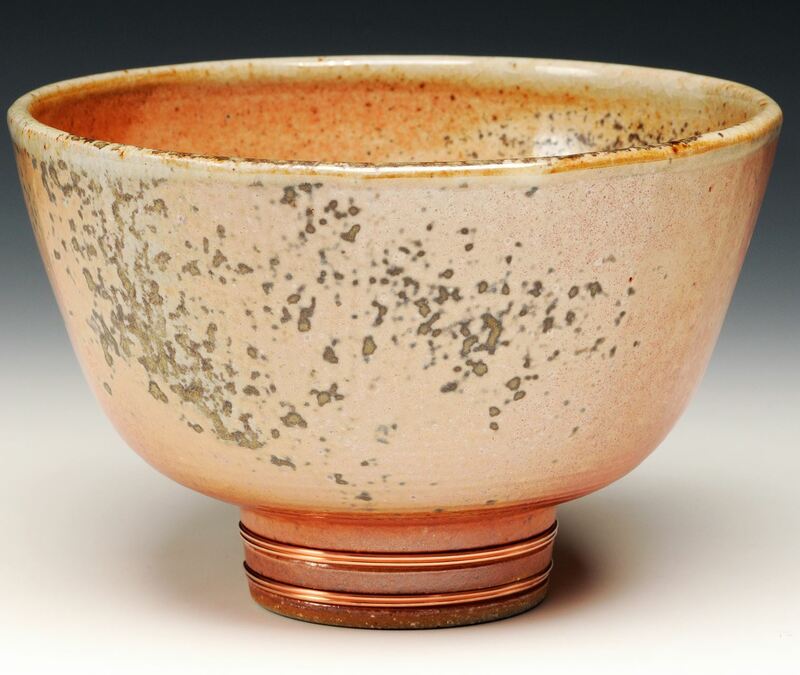 Justin Rothshank RED BOWL wood fired stoneware $125. 97. 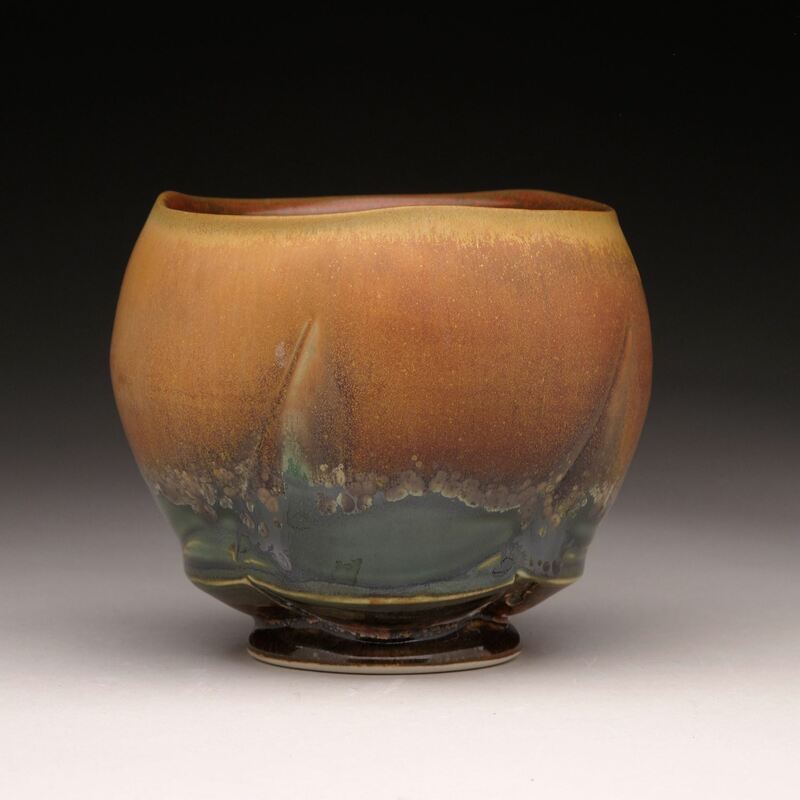 Justin Rothshank TEABOWL woodfired stoneware $125. 99. Katriona Drijber GHOST OWL porcelain $55. PURCHASED BEST CLAY STAMPING sponsored by Clay Stamps 10o. 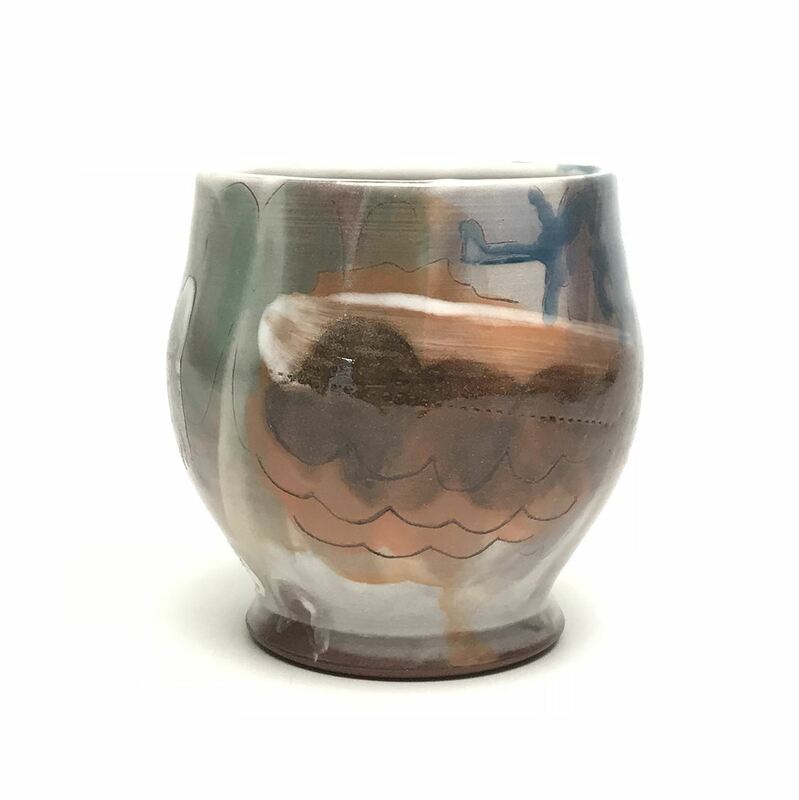 Katriona Drijber LEAF YUNOMI earthenware $45. PURCHASED 101. 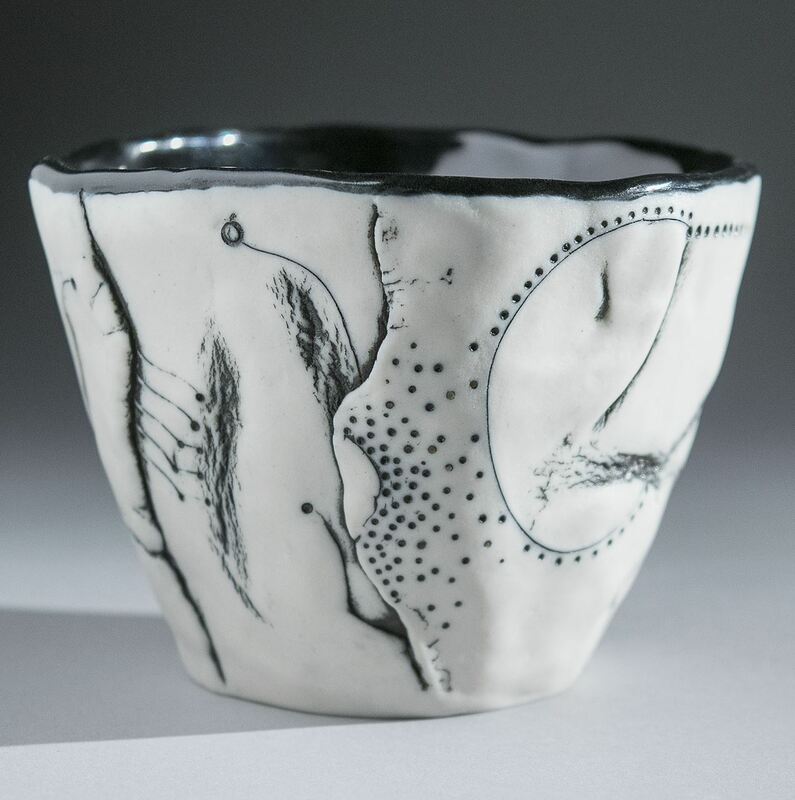 Katriona Drijber STAMPED TEABOWL porcelain $45. PURCHASED 103. 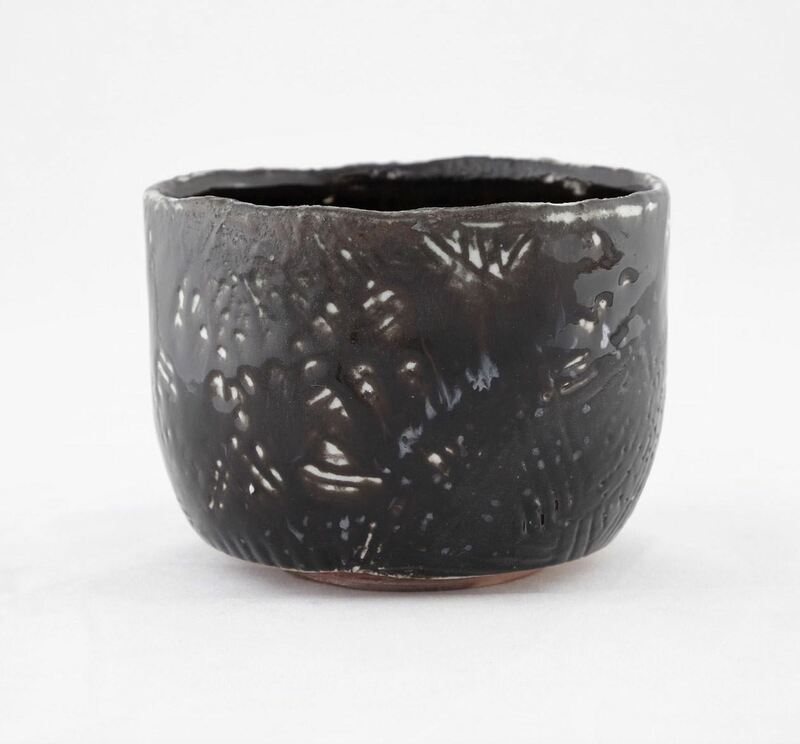 Liz Hart TINY FOOT ^6 black porcelain $40. PURCHASED 113. 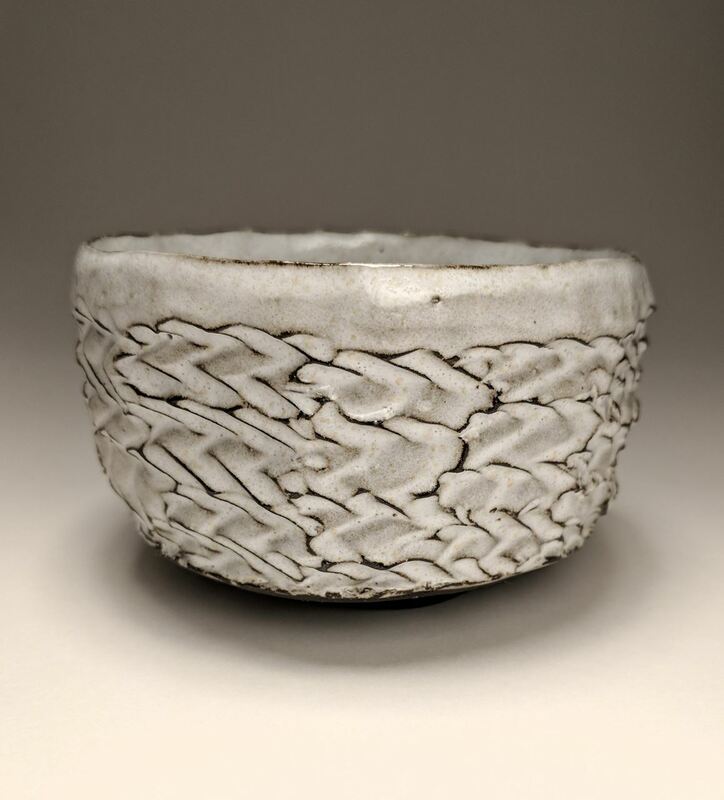 Layne Peters SPIRAL TEXTURE TEABOWL wood/soda fired porcelain $95. 116. 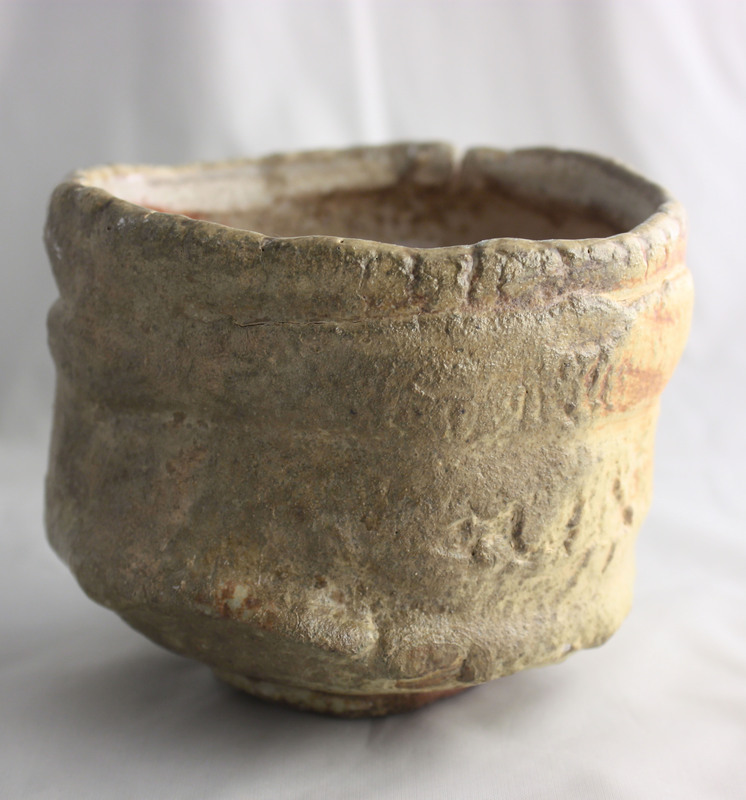 Loren Sherbak RIVER OATS TEABOWL bourry box woodfired stoneware $65. AMACO-BRENT PURCHASE AWARD 122. 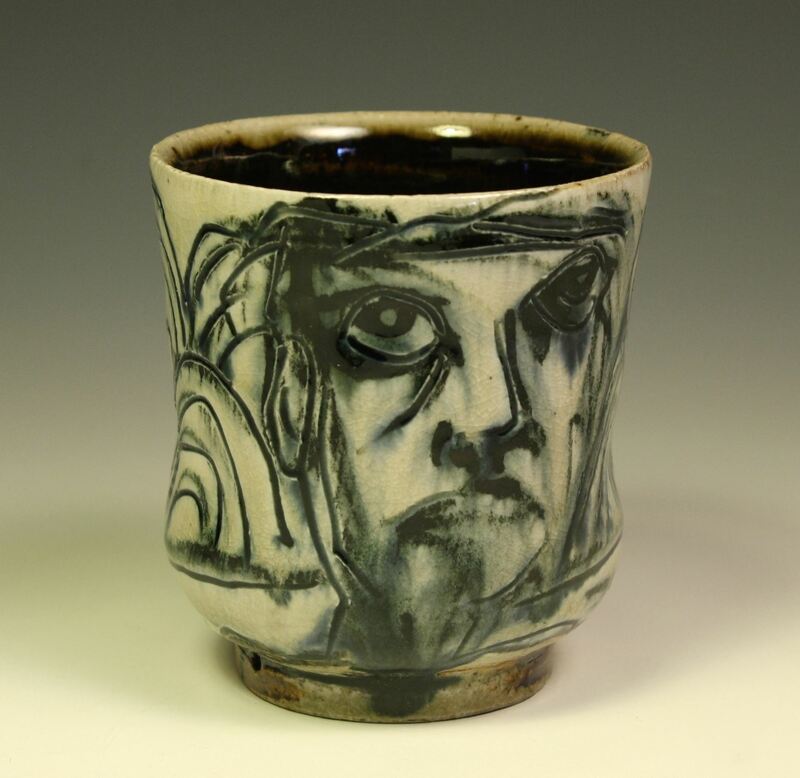 Matt Wren DRAWN CUP woodfired stoneware $50. PURCHASED 123. 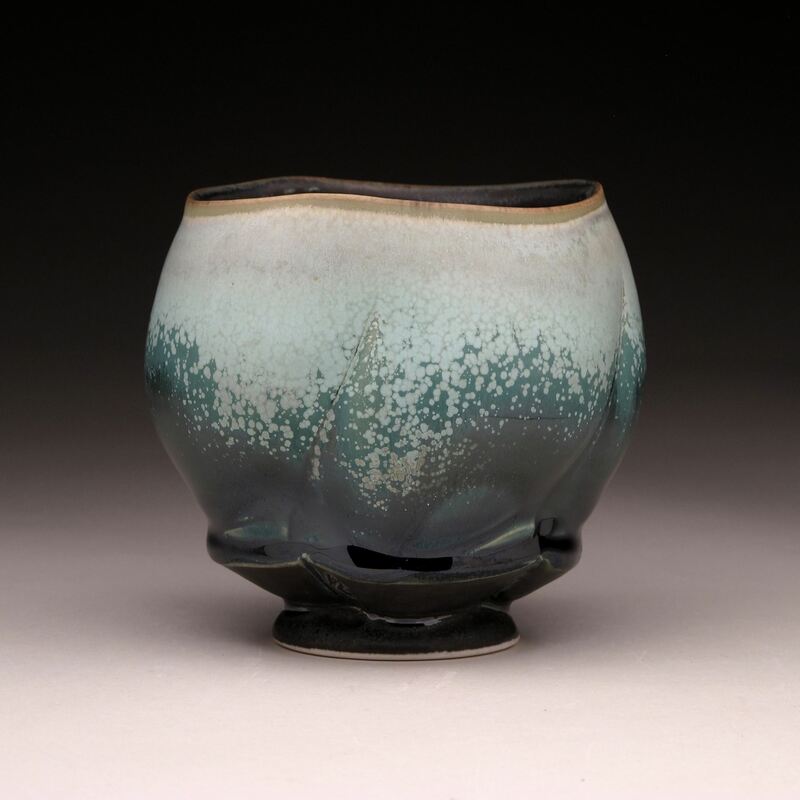 Matt French NIGHT SKY porcelain $60. 130. 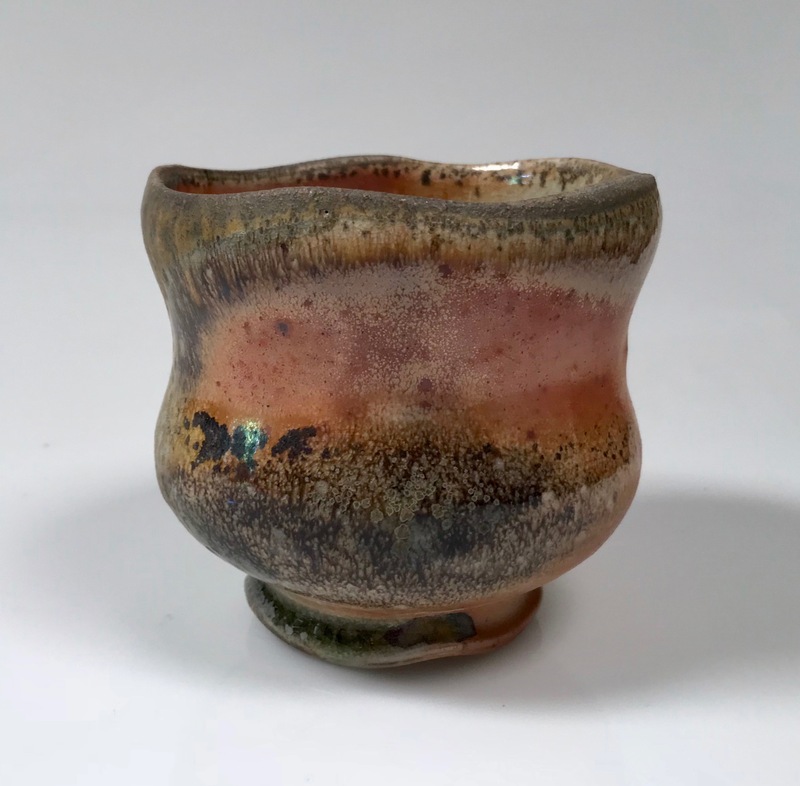 Melynda Steward DOUBLE WALLED CUP ^10 stoneware $82. PURCHASED 132. 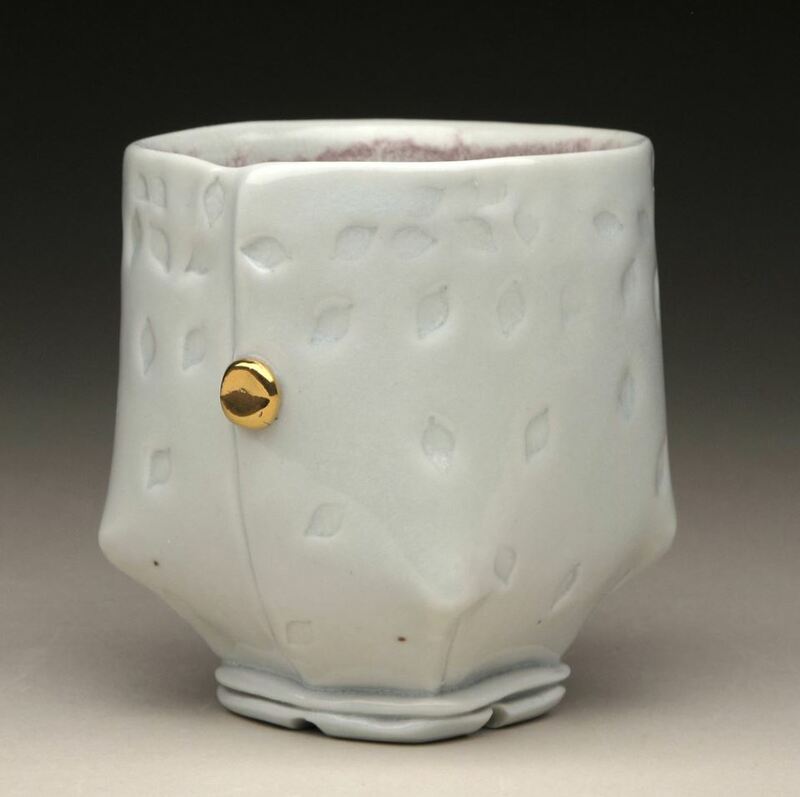 Melynda Steward DOUBLE WALLED CUP ^10 white stoneware $63. 134. 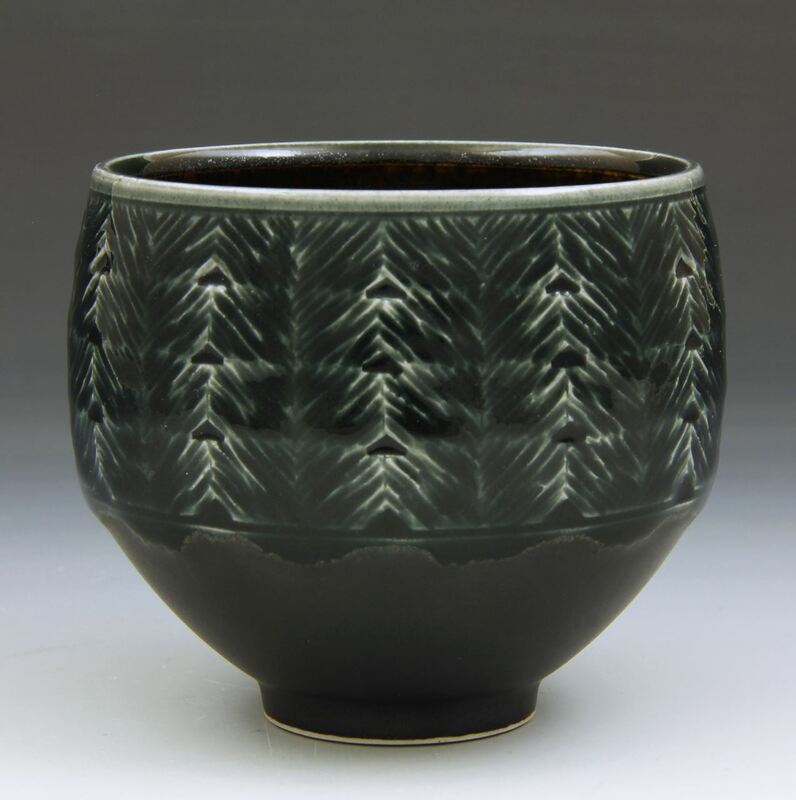 Michael Simmons BLACK SHINO TEABOWL porcelain $60. 136. 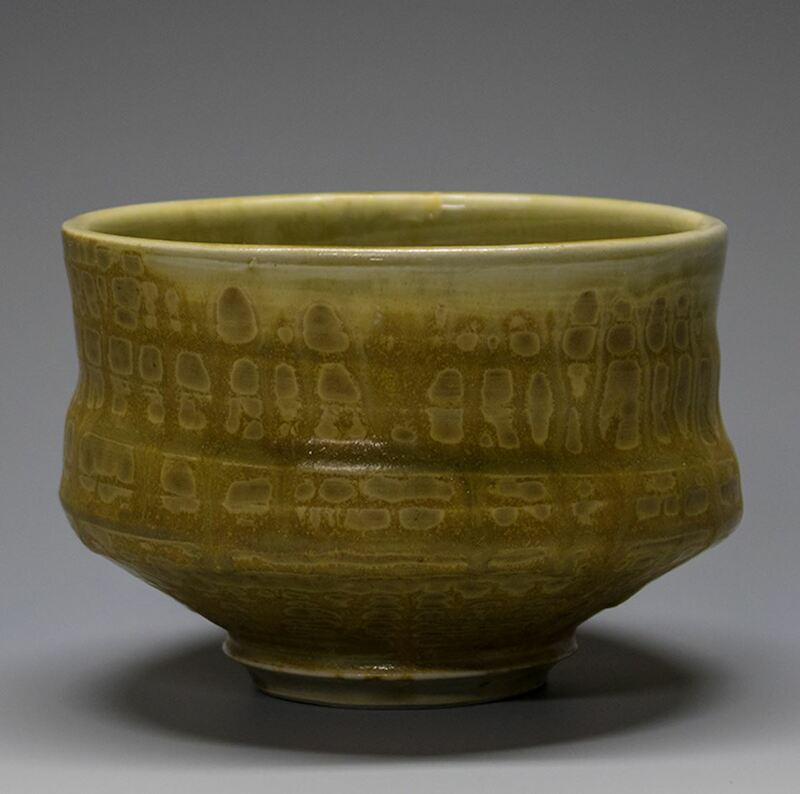 Nicholas Marchi YELLOW SPECKLED TEABOWL midrange stoneware $60. 137. 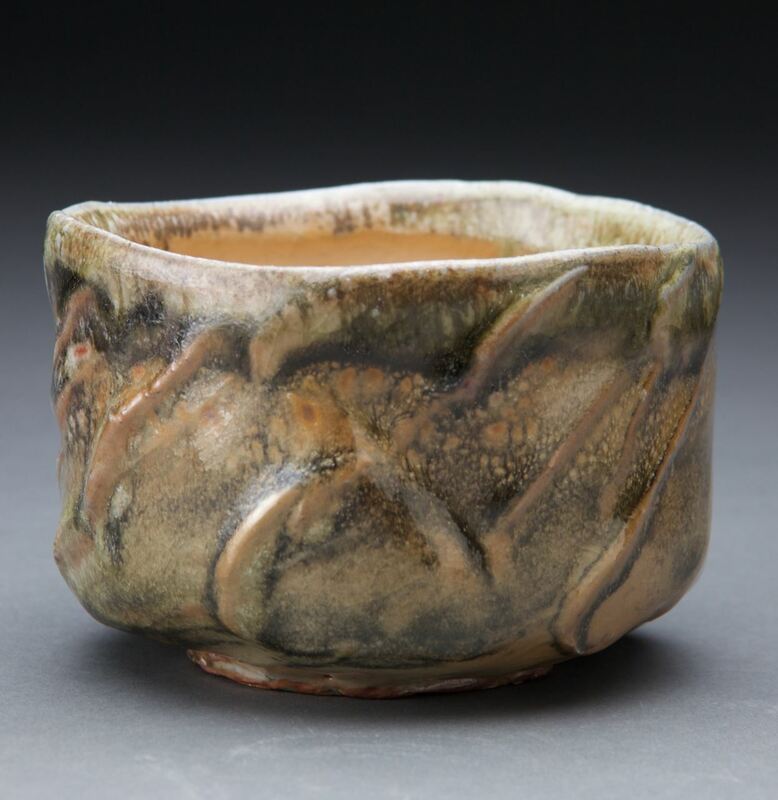 Nicholas Marchi CARVED SHINO TEABOWL mid-range stoneware $75. 138. 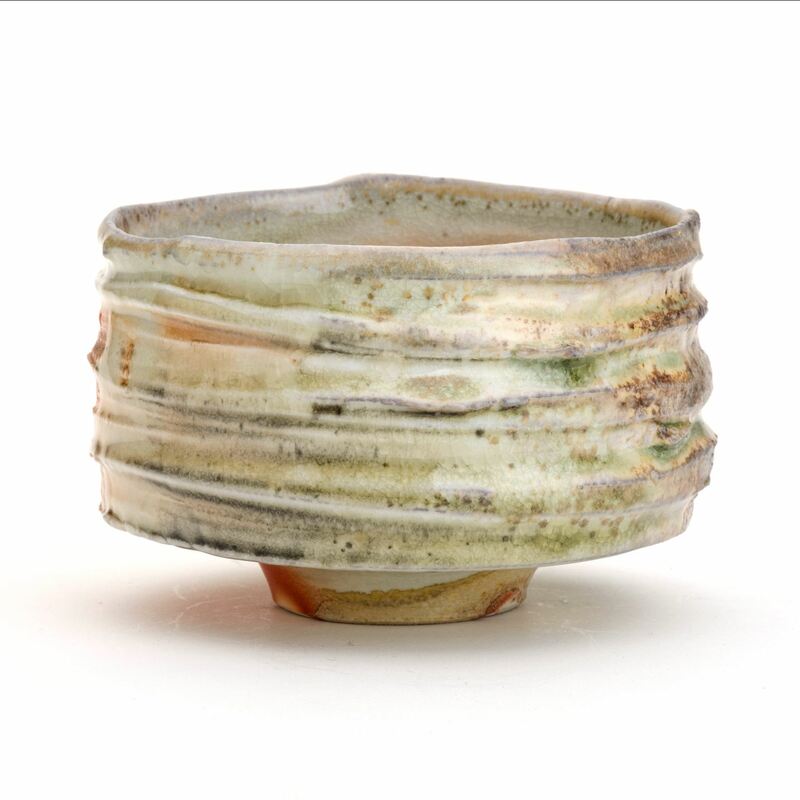 Nicholas Marci GROOVED WHITE TEABOWL mid-range stoneware $75. 140. Paul Muloney NUGZ soda fired porcelain $70. PURCHASED 142. 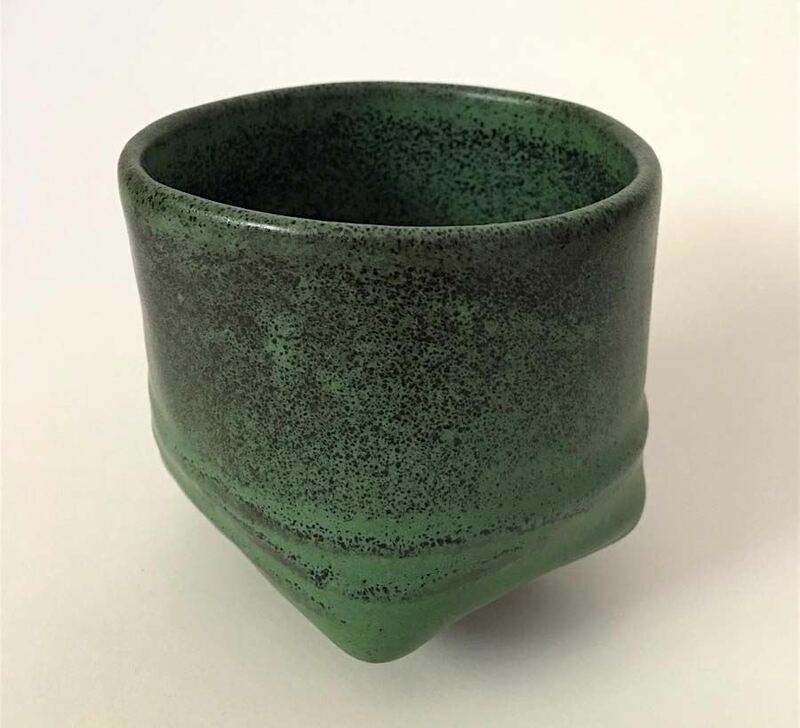 Paula Cosentino GREEN porcelain casting slip with glaze $50. 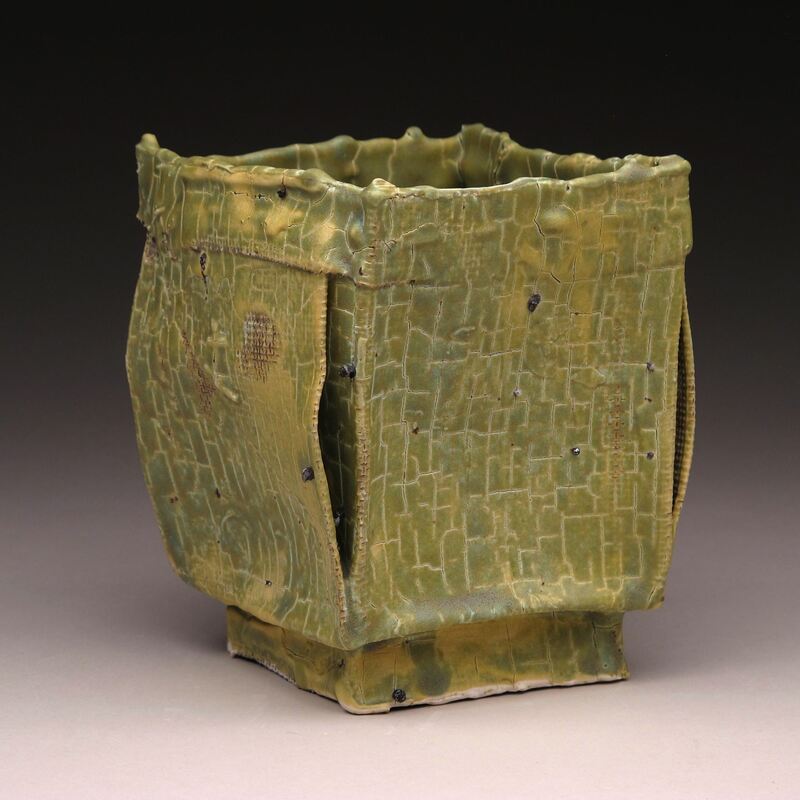 'OUT OF THE BOX' Purchased Award sponsored by Susan Speck 143. 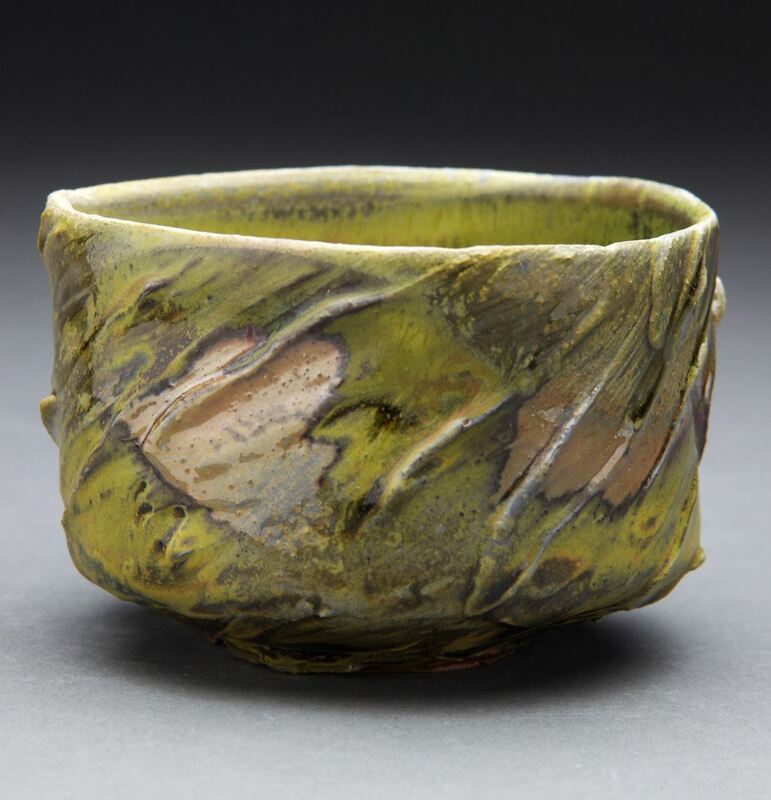 Paula Cosentino YELLOW TEA porcelain casting slip with glaze $50. 144. 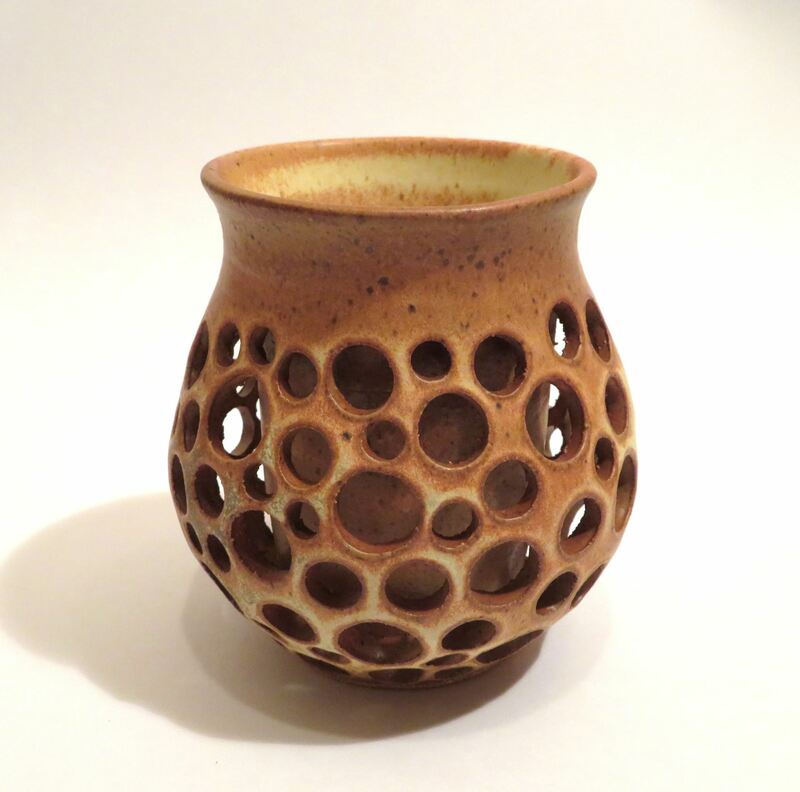 Paula Cosentino ORANGE porcelain casting slip with glaze $50. PURCHASED 147. 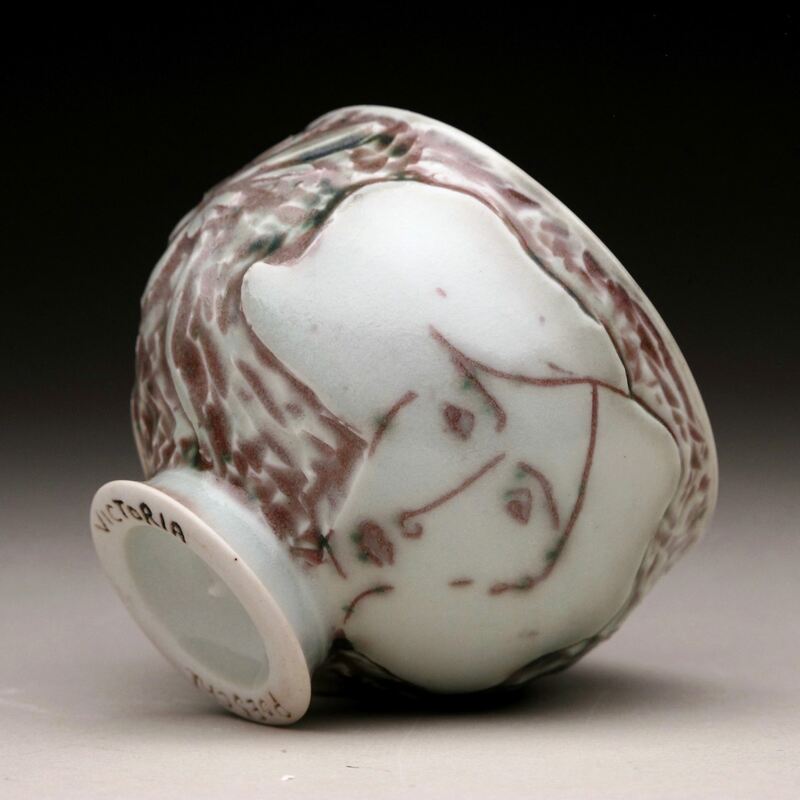 Rachel Akin TEABOWL porcelain $45. 151. Robert Lawarre OSTRICH OVERLAY SERPENT (double walled chasabal) wood/salt fired stoneware $250. 152. 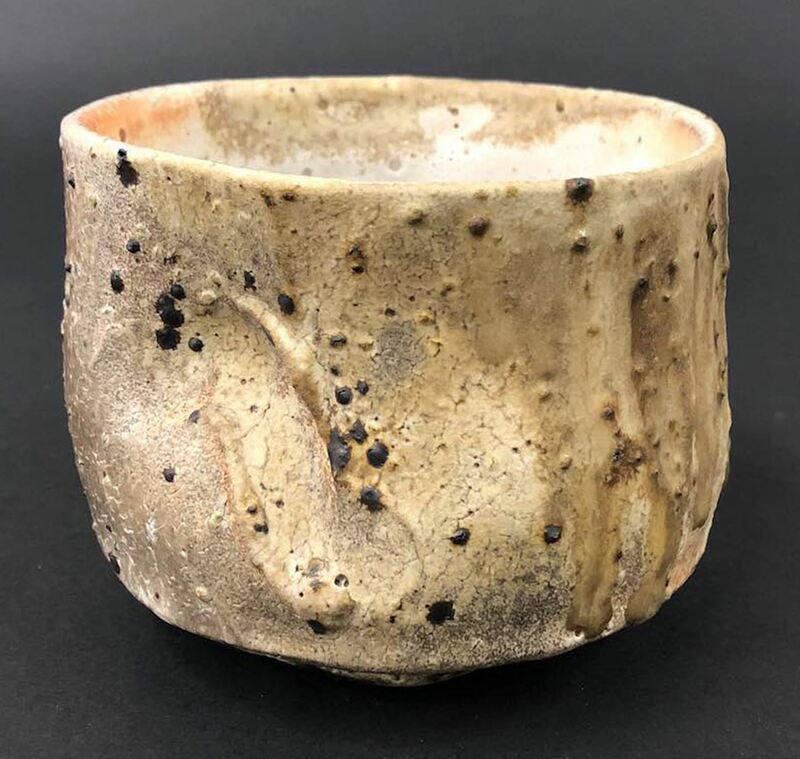 Ryan Caldwell DOTTED TUMBLER wood fired white stoneware $62. AMACO-BRENT PURCHASE AWARD 158. 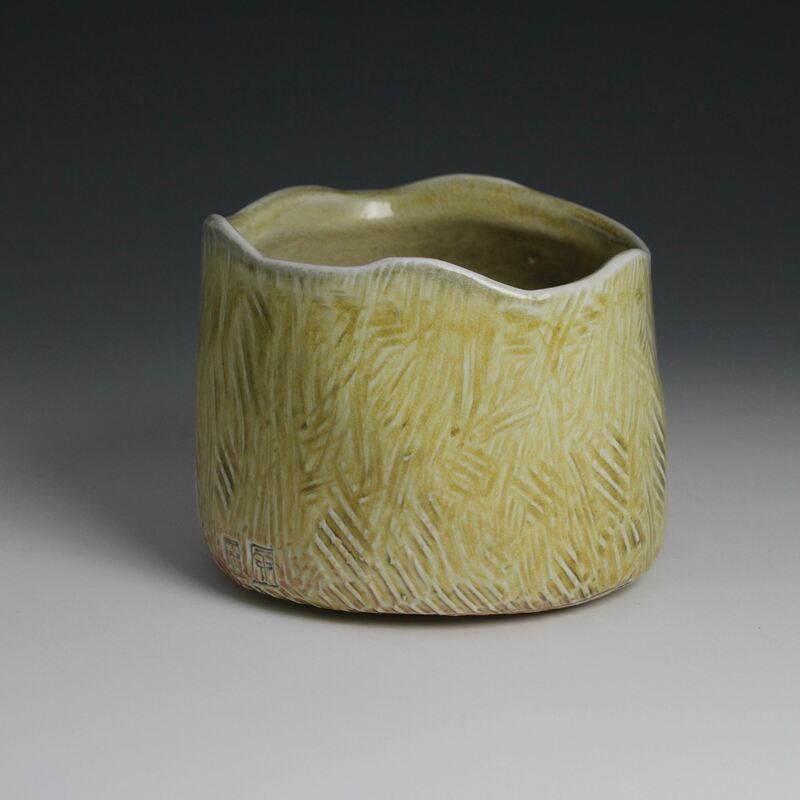 Sara Truman UNTITLED earthenware $50. 160. 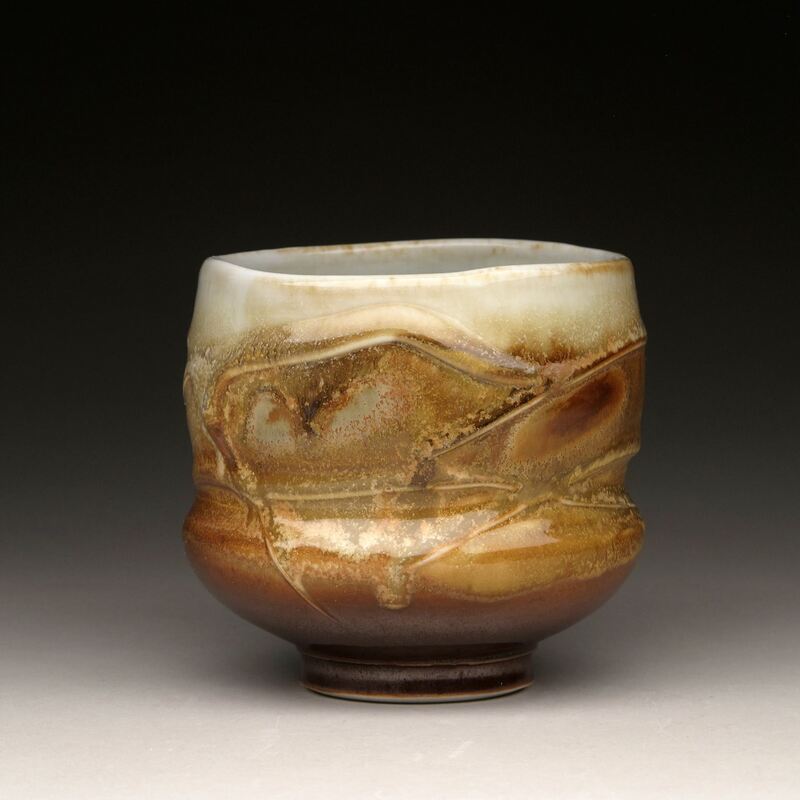 Scott Williamson AUTUMN GRASS porcelain w/celadon $65. 'MOST EXPRESSIVE' award sponsored by Jeanine Valadez 166. 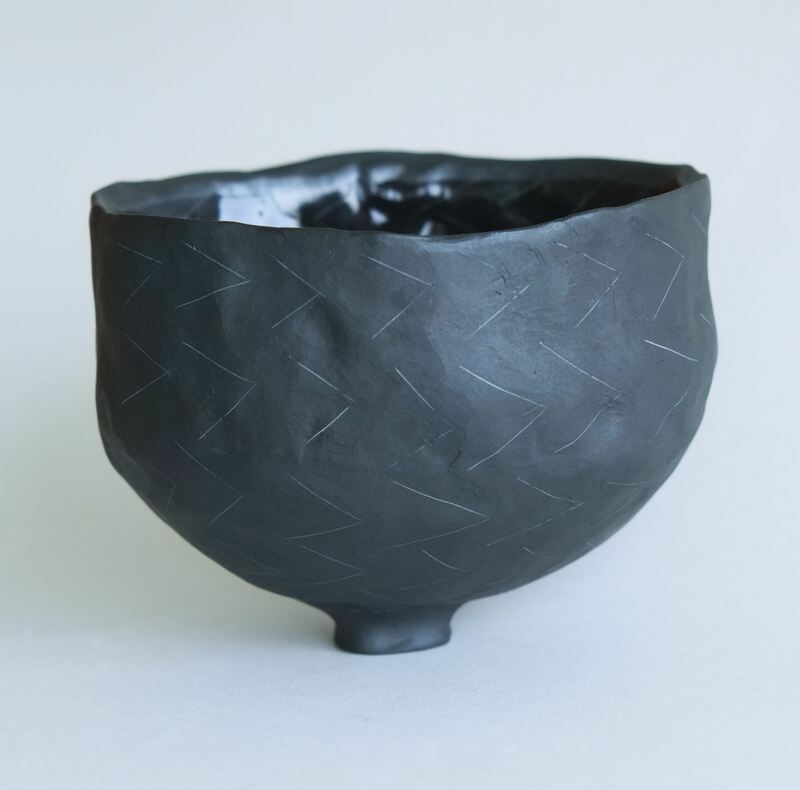 Shikha Joshi UNTITLED 1 midrange black clay $75. MKM POTTERY TOOLS PURCHASE AWARD 176. 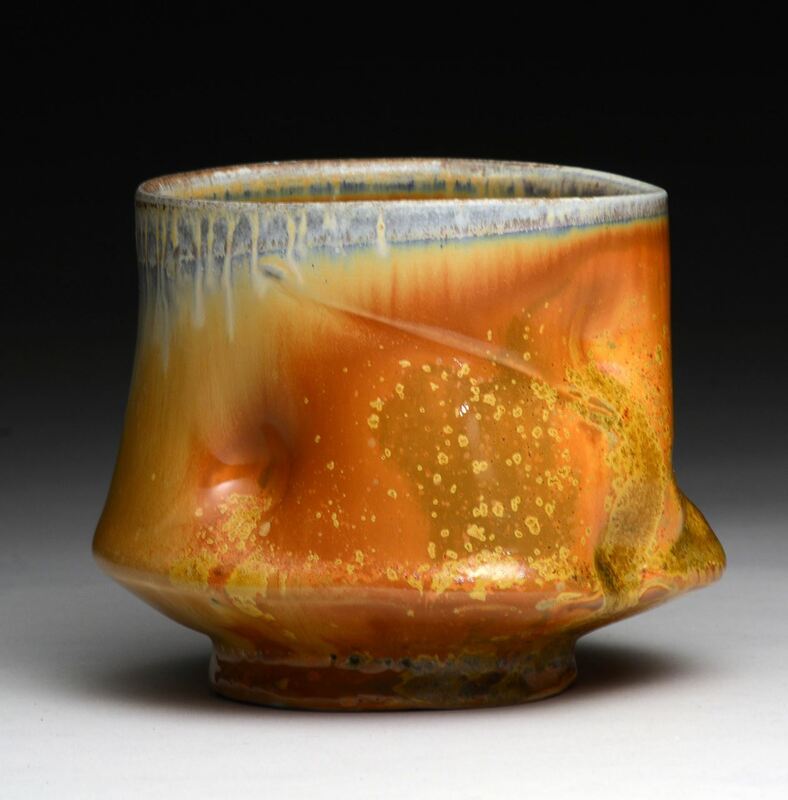 Steven Hill TEABOWL 2 ^8 porcelain $120. 168. 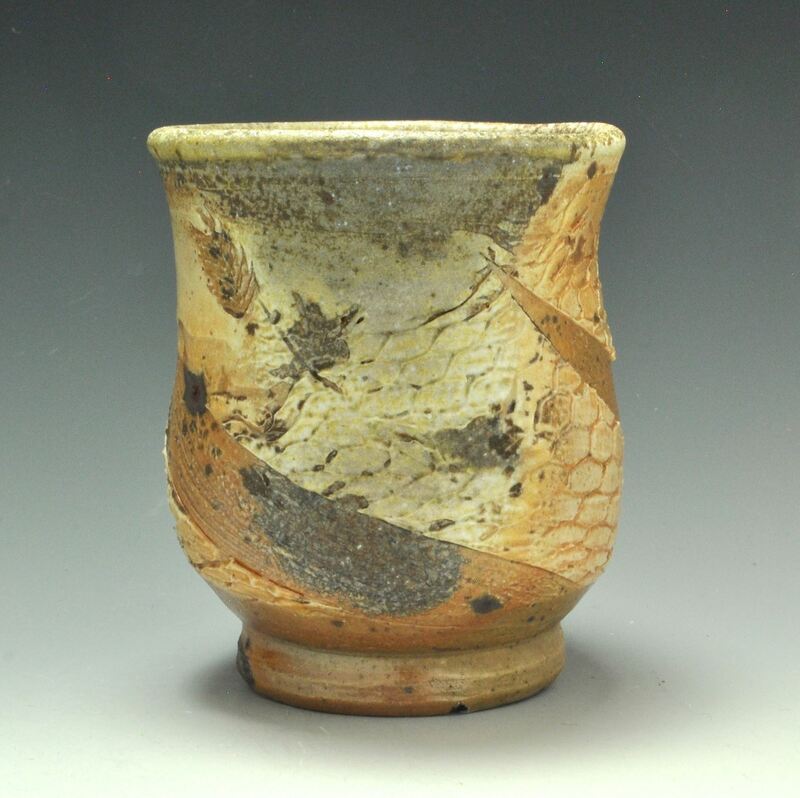 Shumpei Yamaki UNTITLED wood fired stoneware $180. 183. 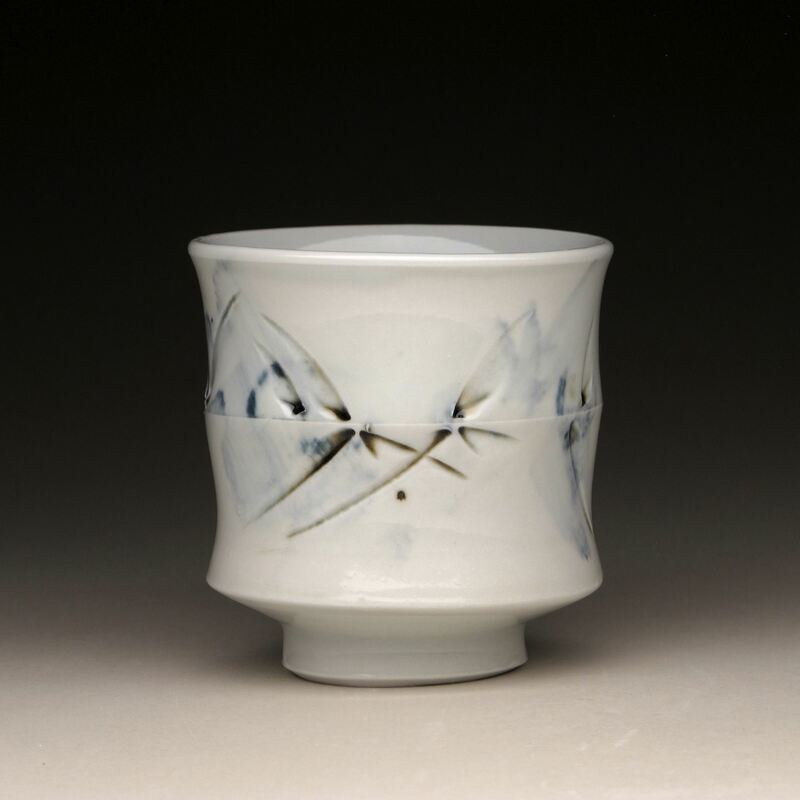 Thomas Jennison TEABOWL 1 porcelain $100. AMACO-BRENT PURCHASE AWARD 184. 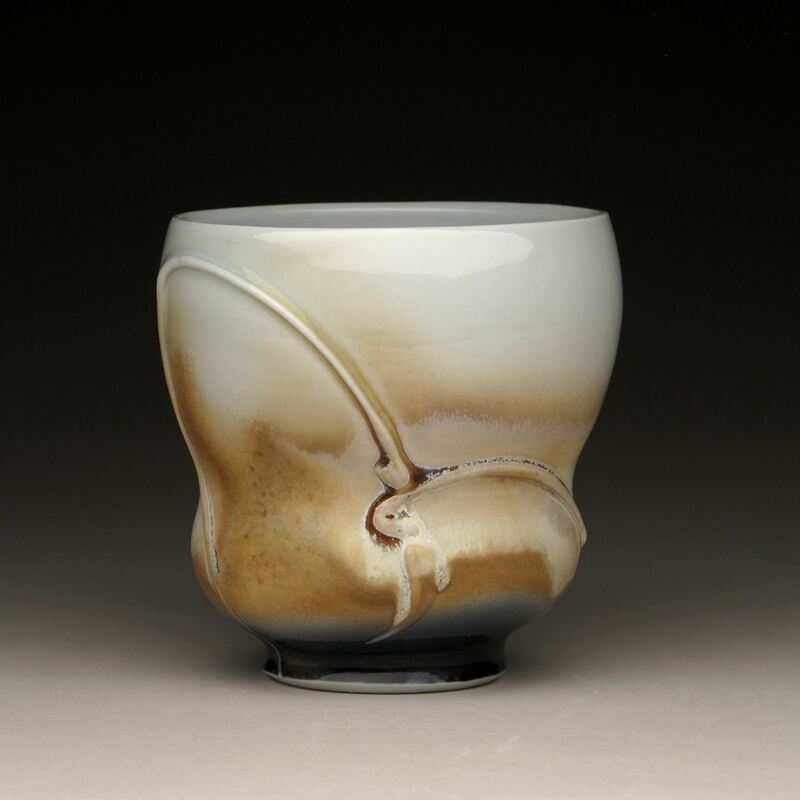 Thomas Jennison TEABOWL 2 porcelain $100. 174. 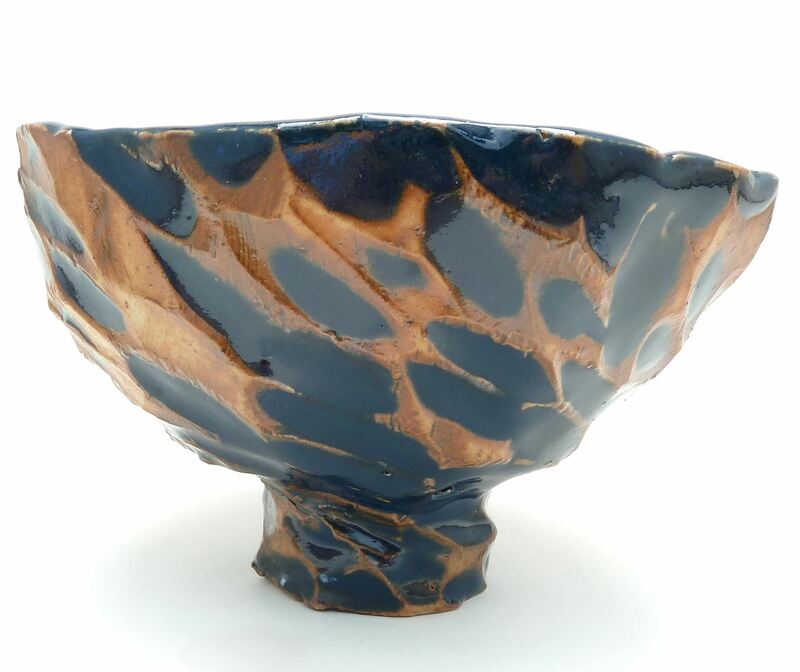 Steven Hill TEABOWL 1 ^8 porcelain $120. 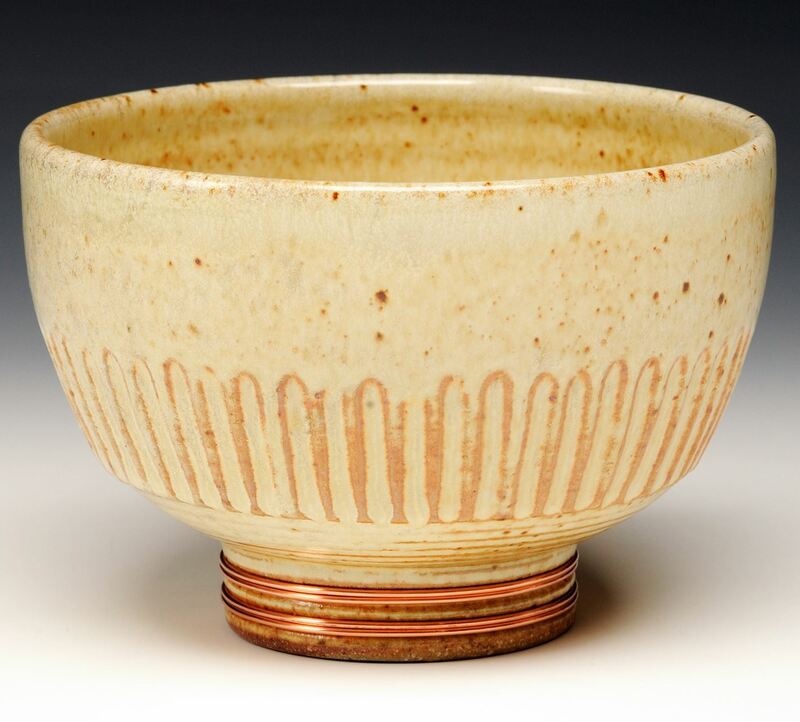 185.Thomas Jennison TEABOWL 3 porcelain $100. 188. 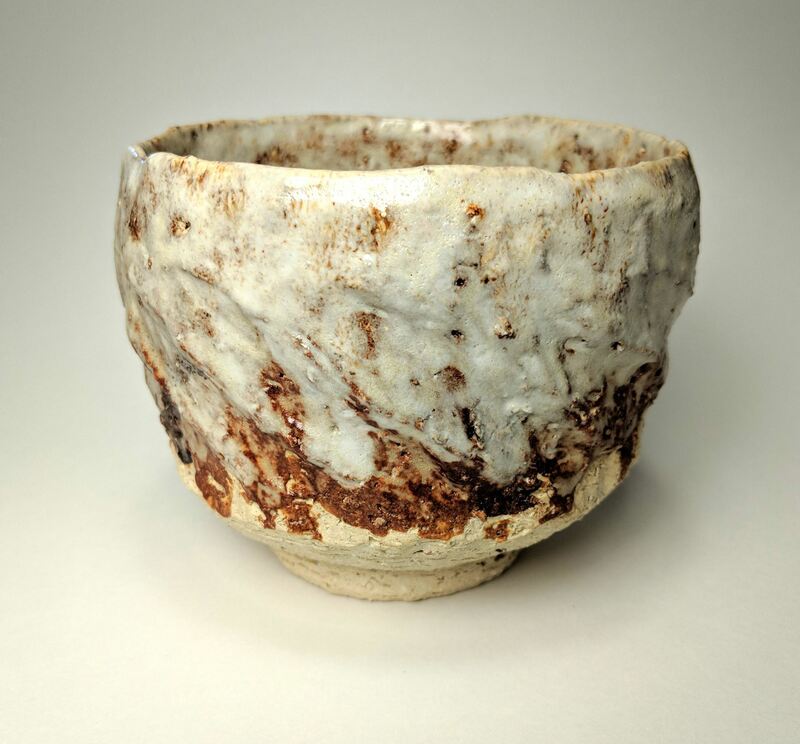 Todd Pletcher TEABOWL woodfired white stoneware $85. PURCHASED 190. Tori Poeschl GAUDY GIRLS porcelain $35. PURCHASED FIRST RUNNER UP 195. 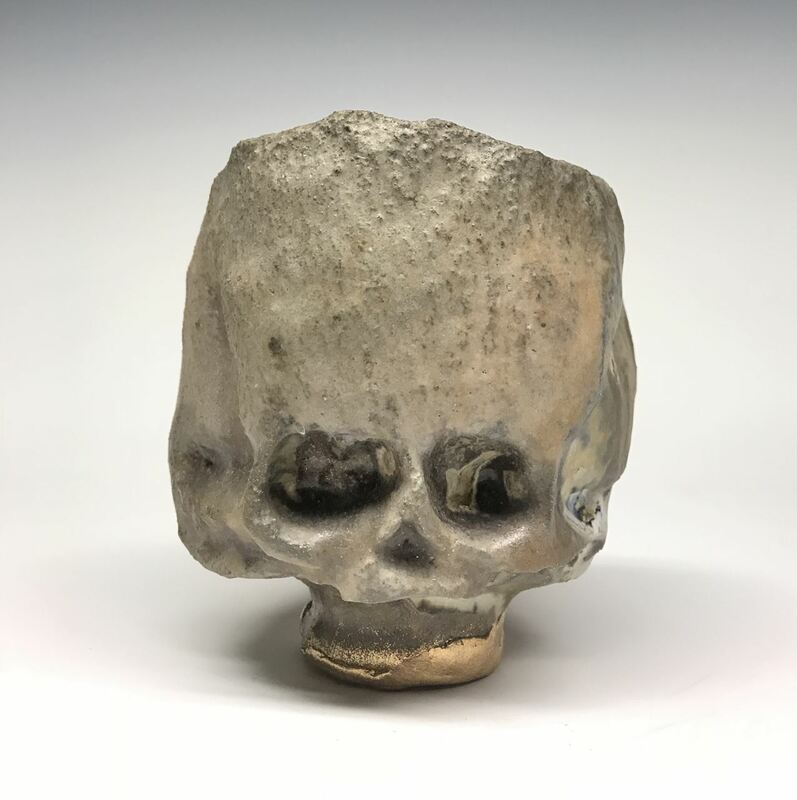 Zach Tate SKULL TEABOWL woodfired porcelain w/kintsugi repair $80. 165. 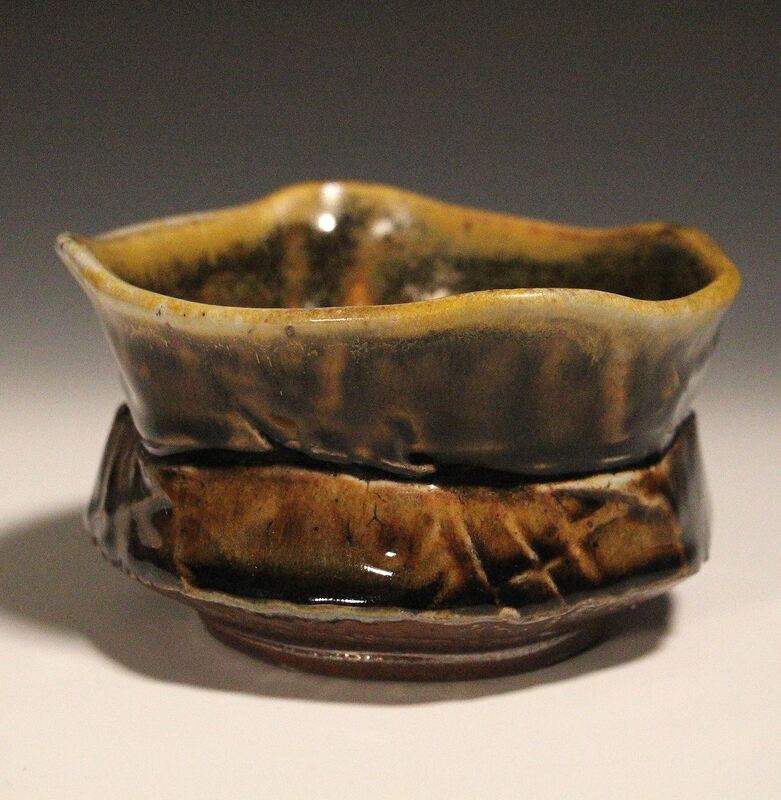 Shawn Cash PADDLED SODA FIRED TEABOWL #3 soda fired stoneware $75.